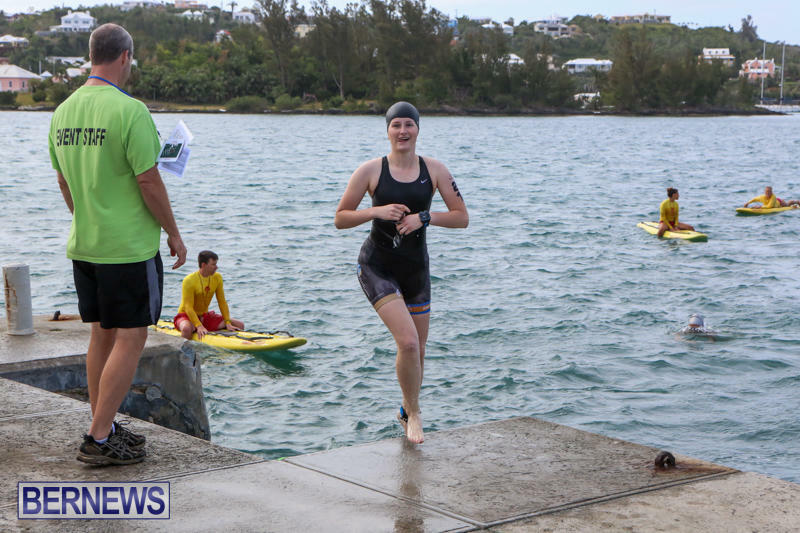 Tyler Smith and Martina Olcheski-Bell are the 2015 Tokio Millenium Re Triathlon male and female champions. 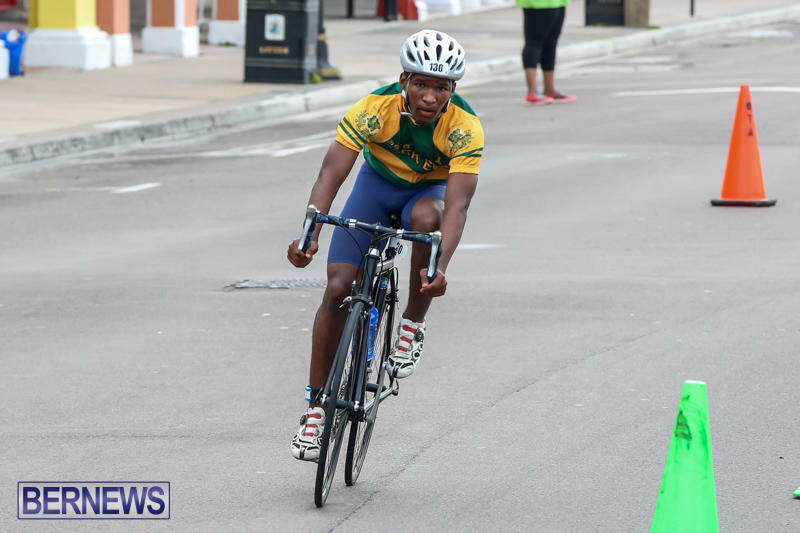 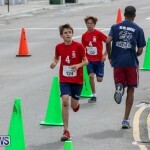 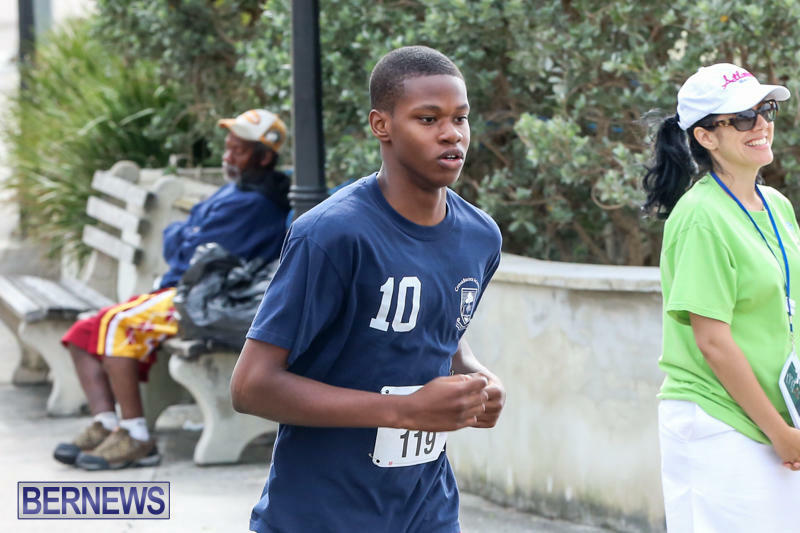 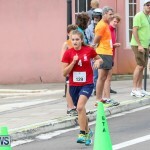 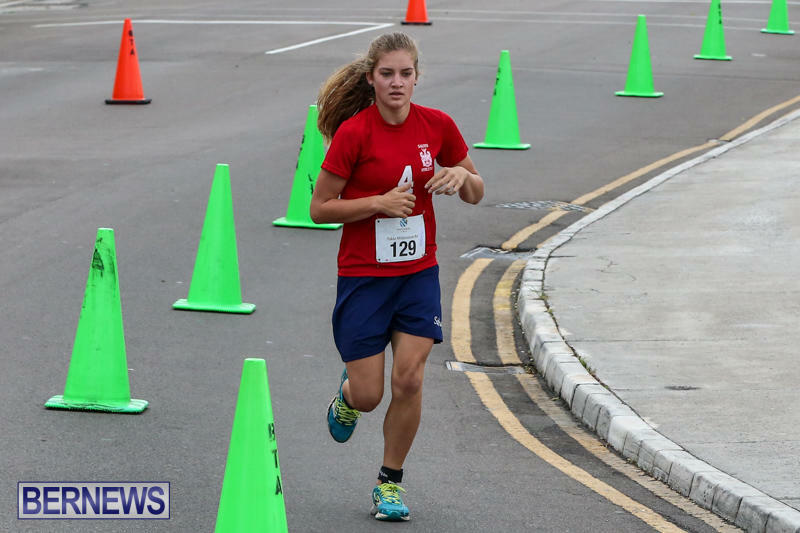 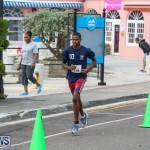 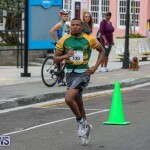 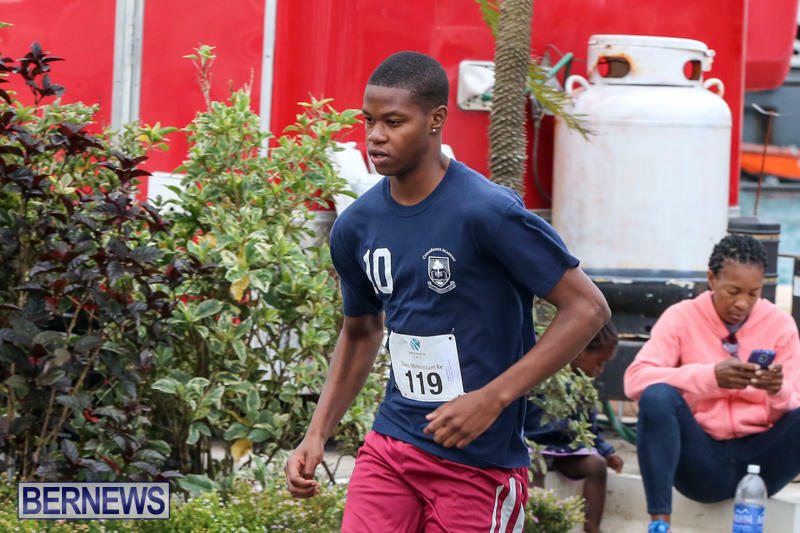 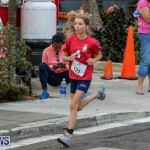 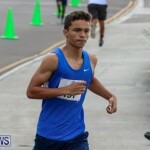 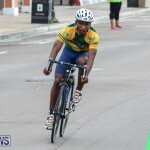 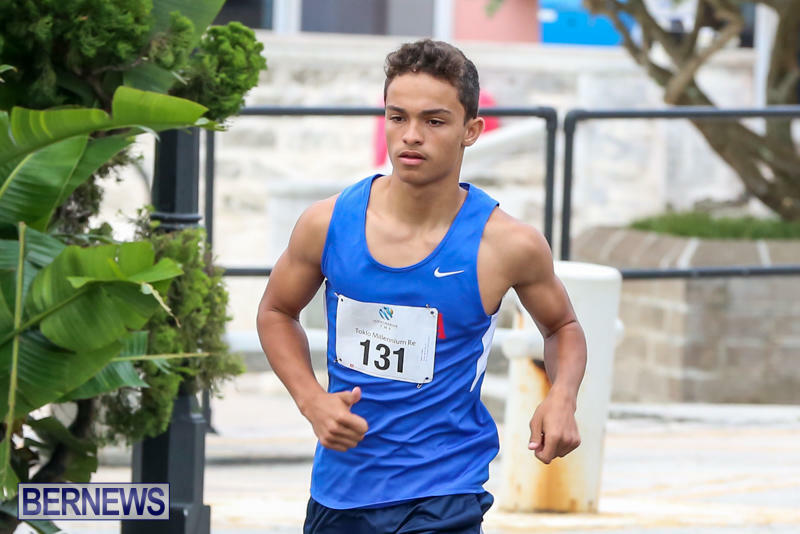 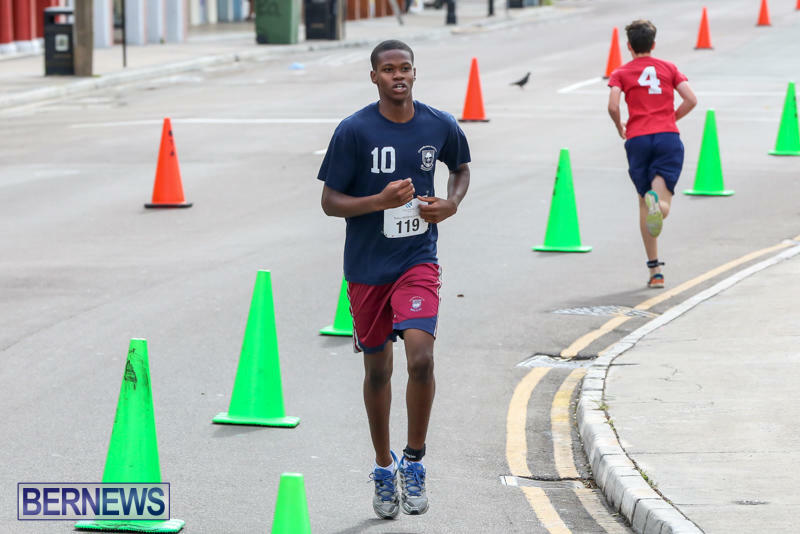 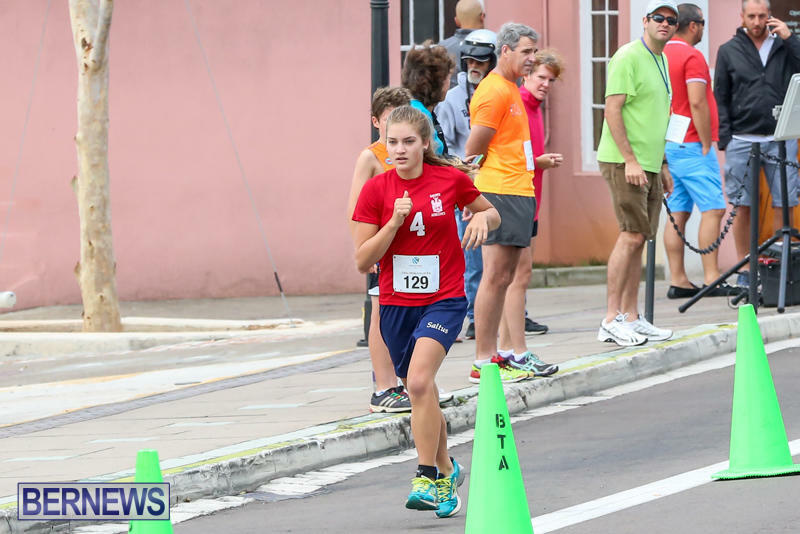 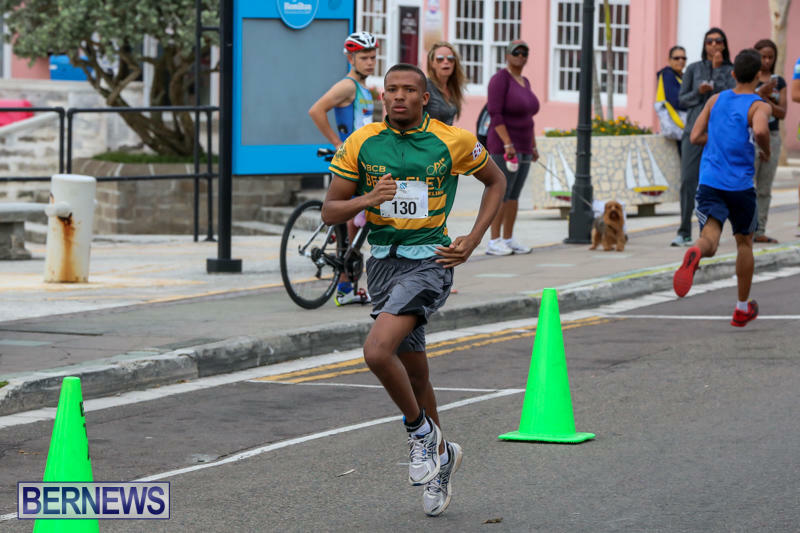 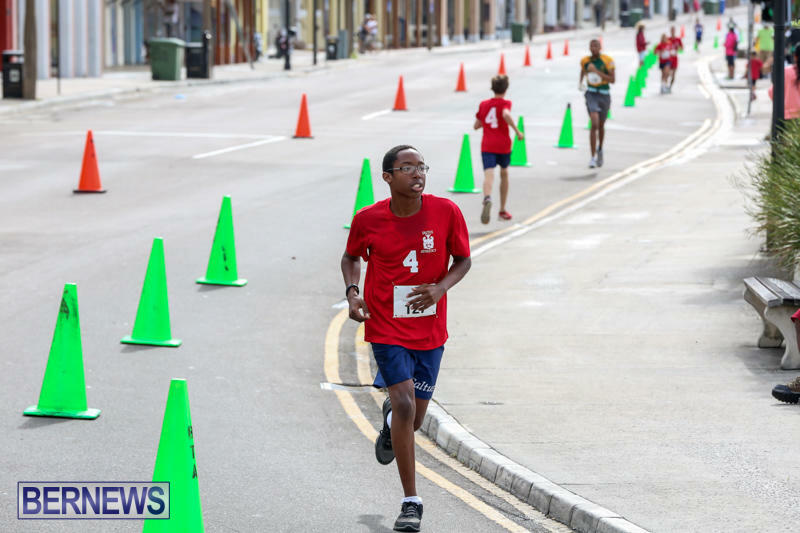 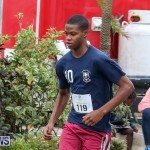 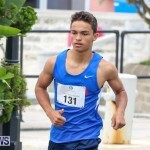 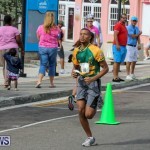 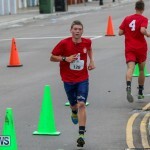 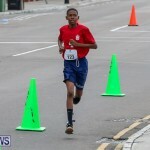 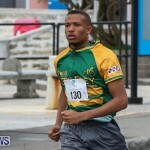 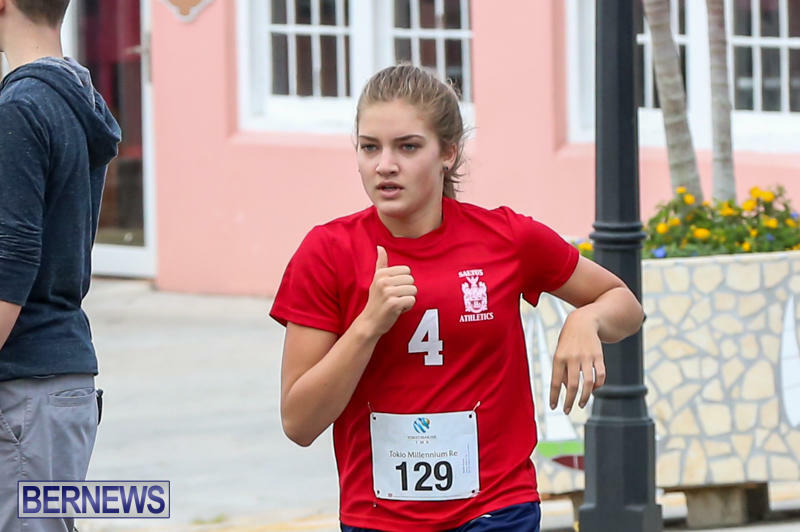 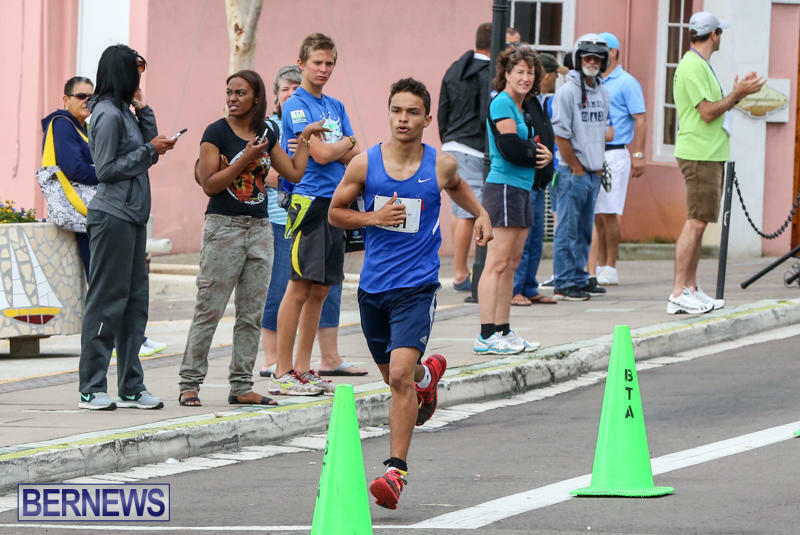 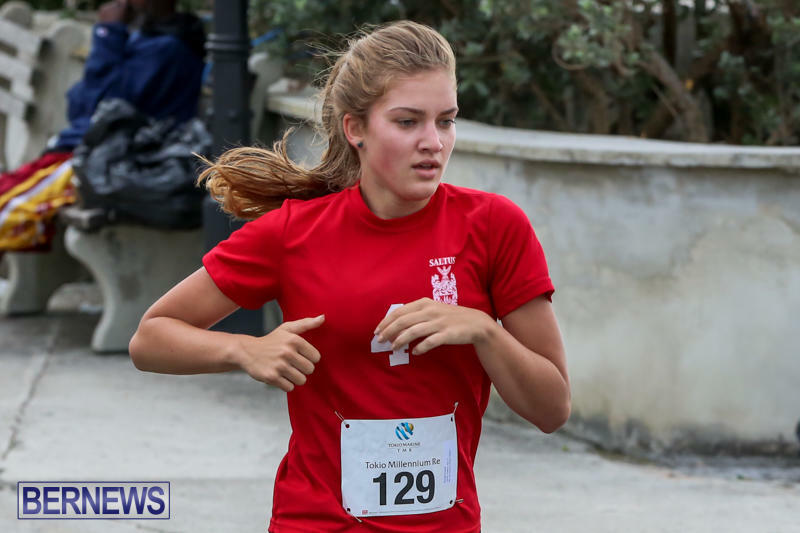 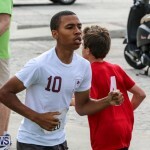 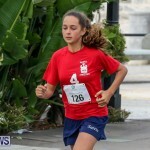 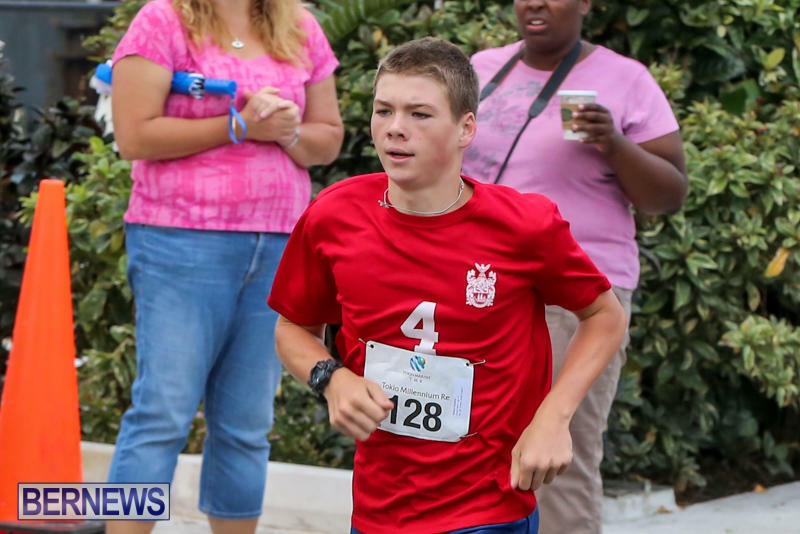 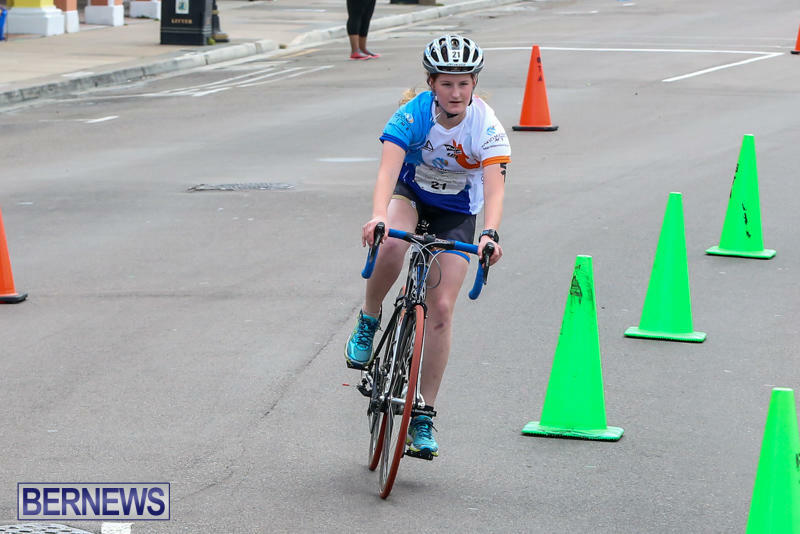 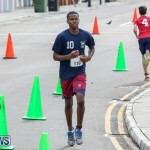 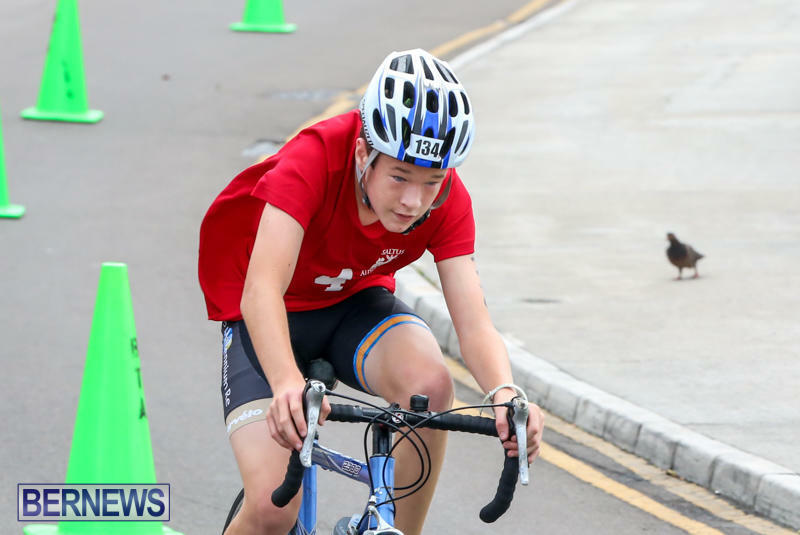 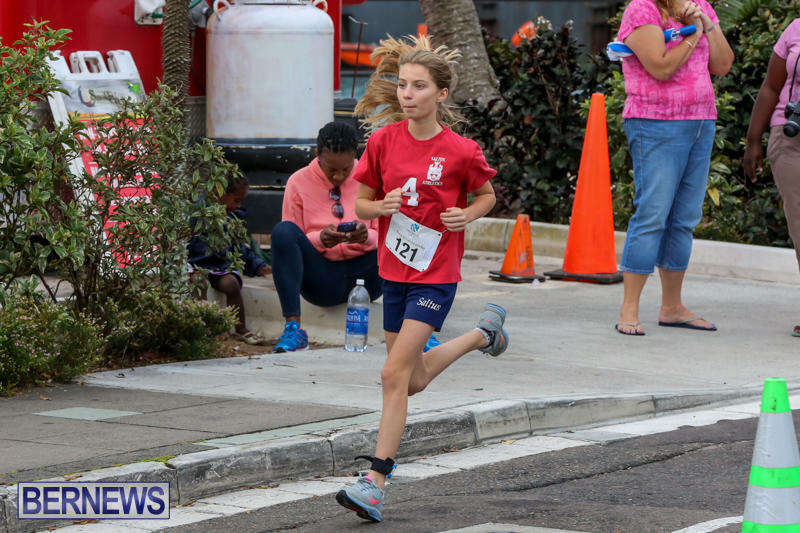 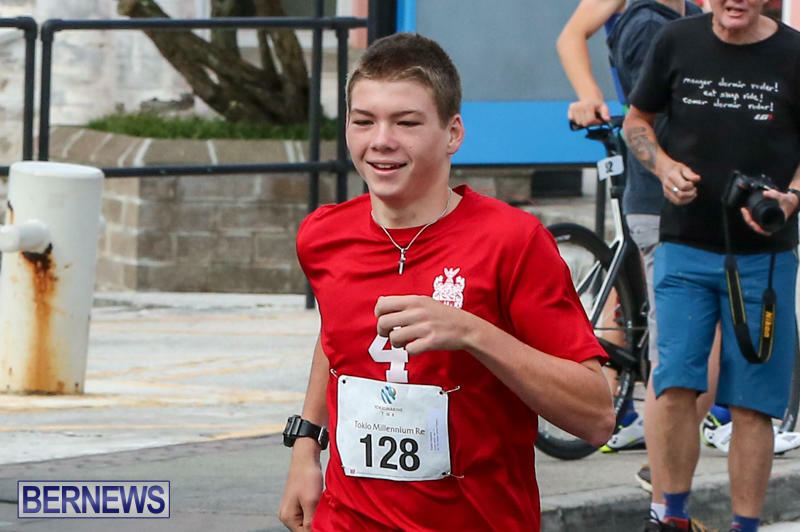 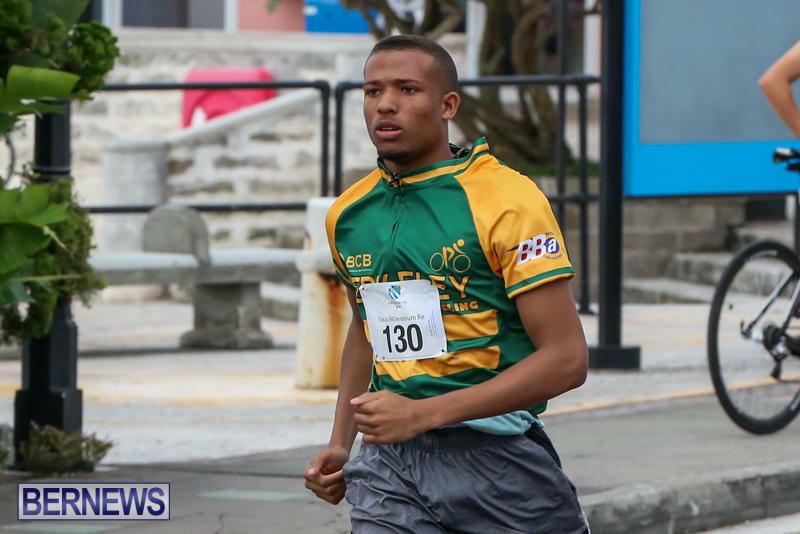 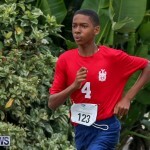 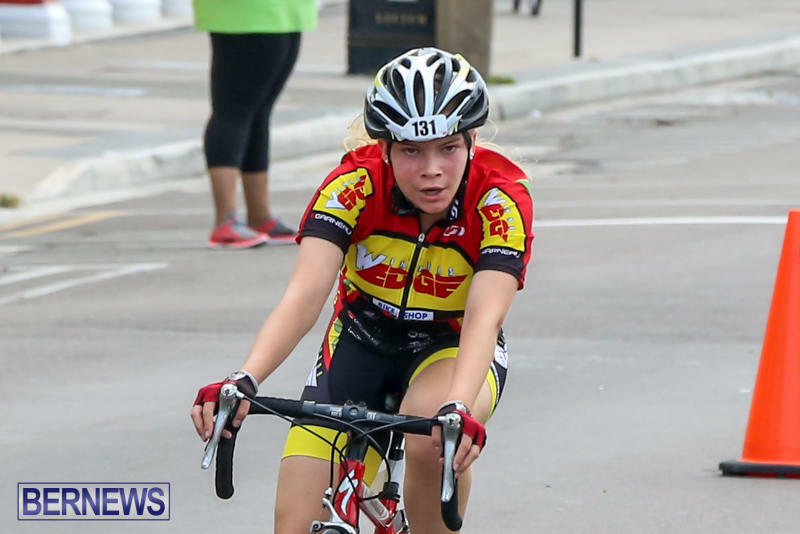 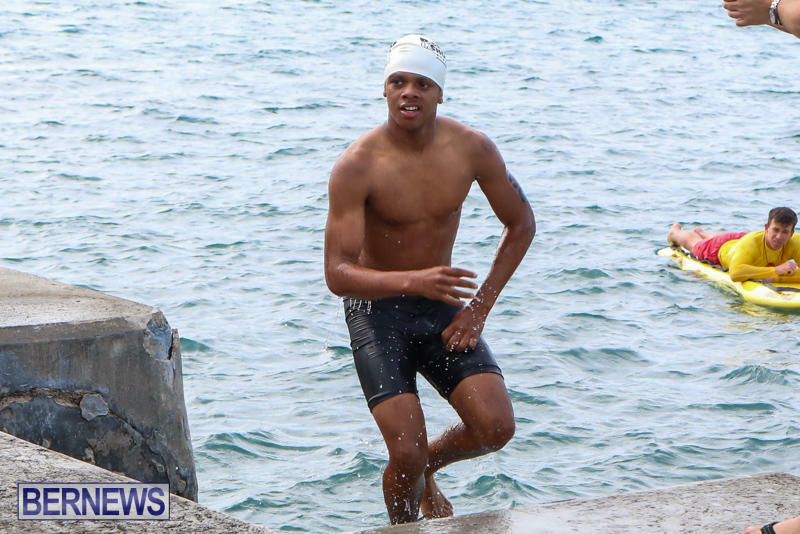 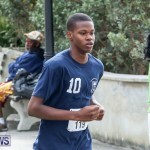 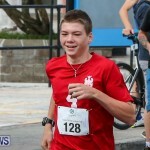 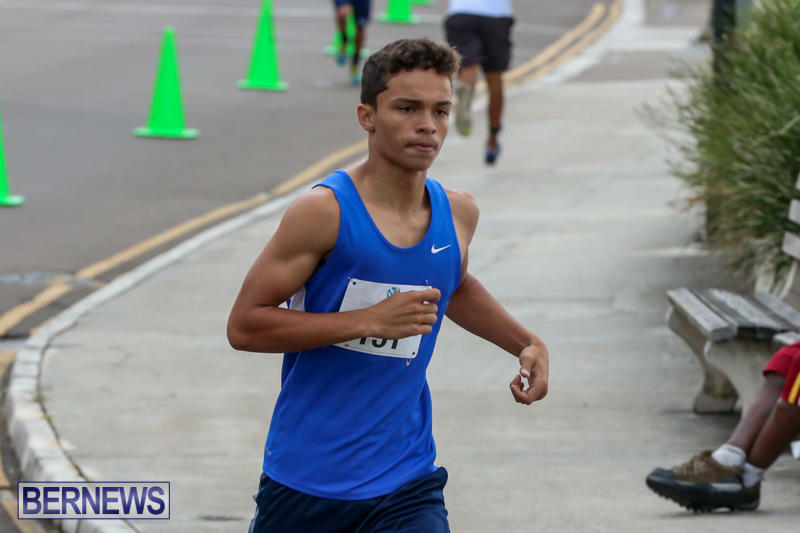 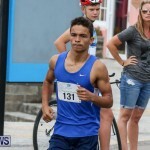 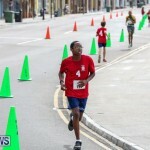 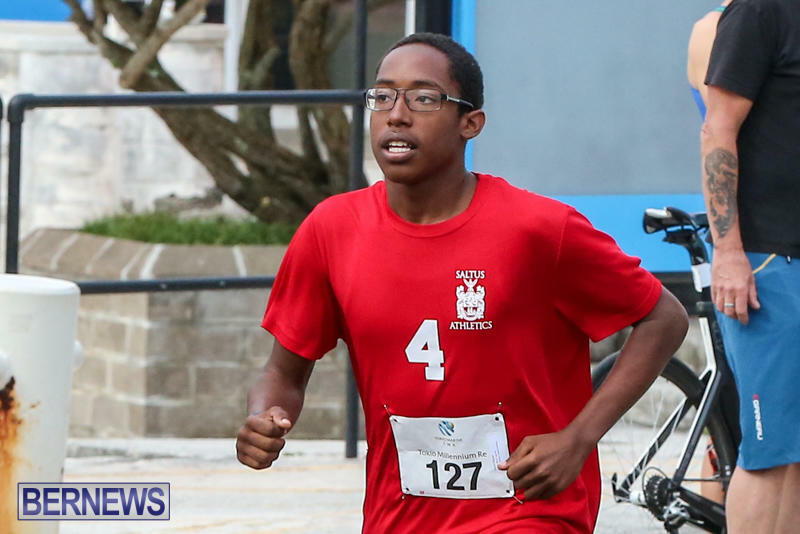 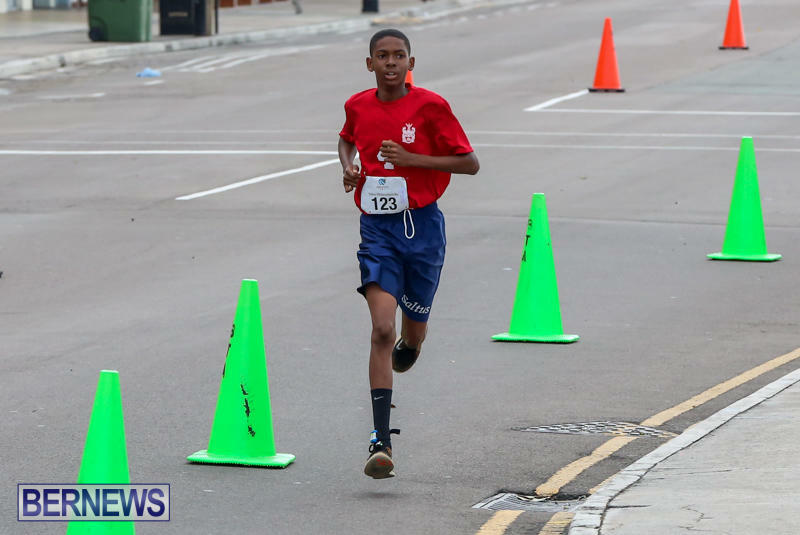 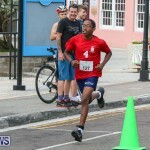 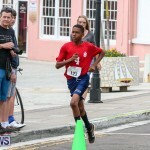 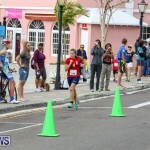 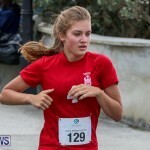 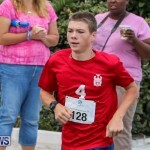 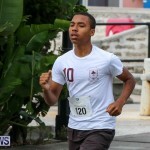 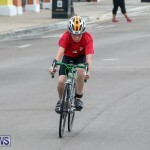 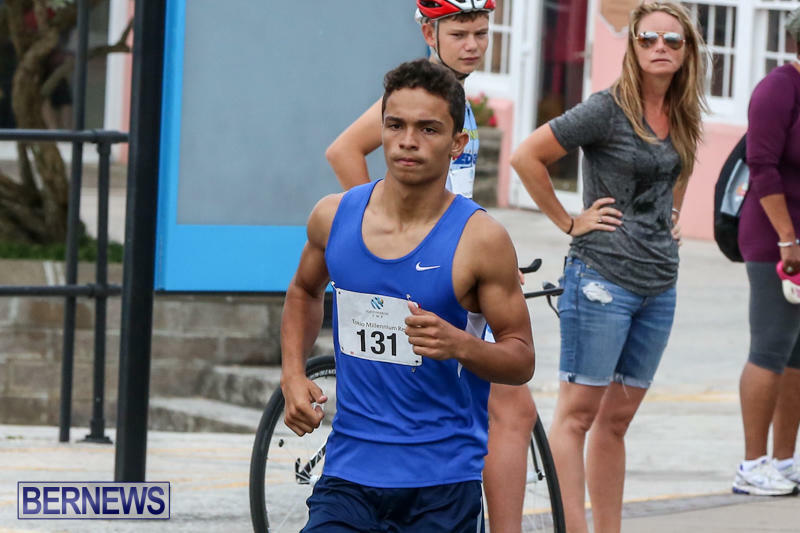 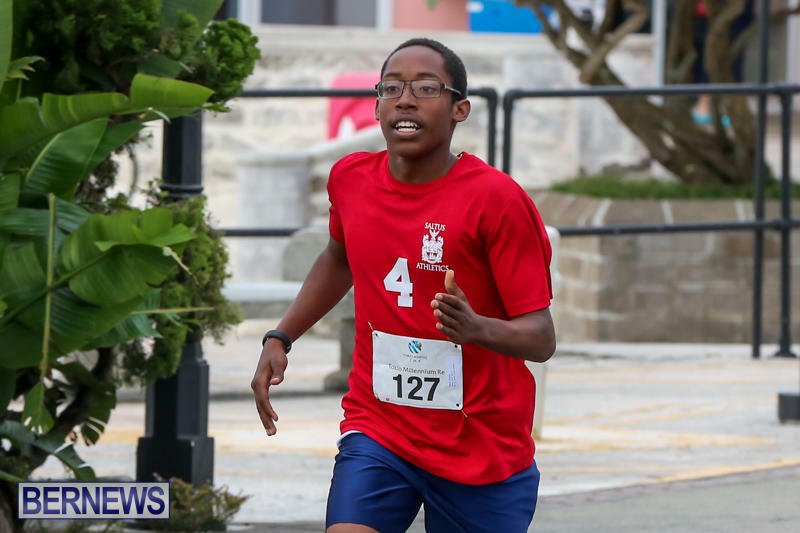 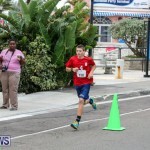 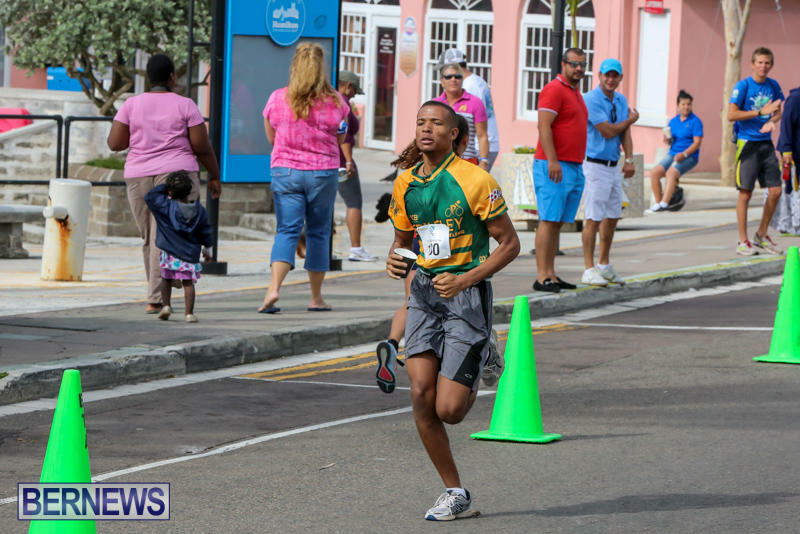 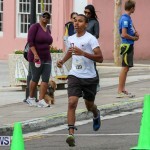 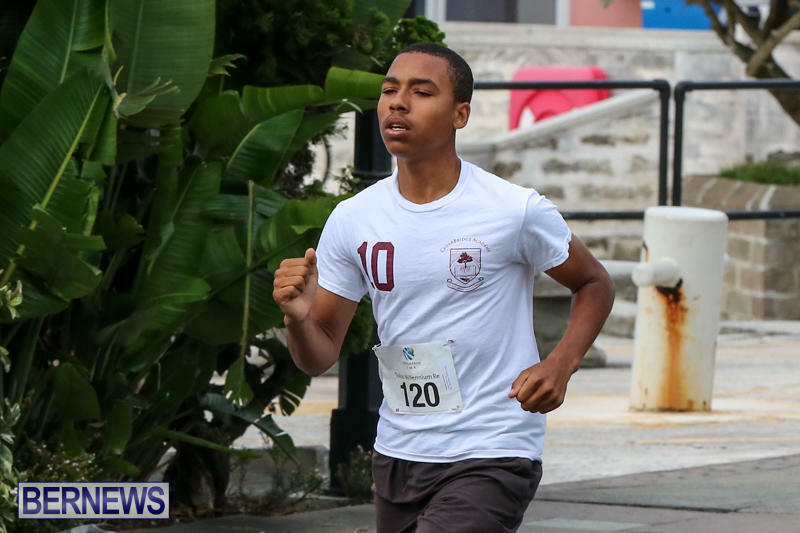 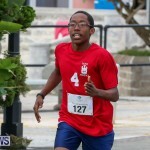 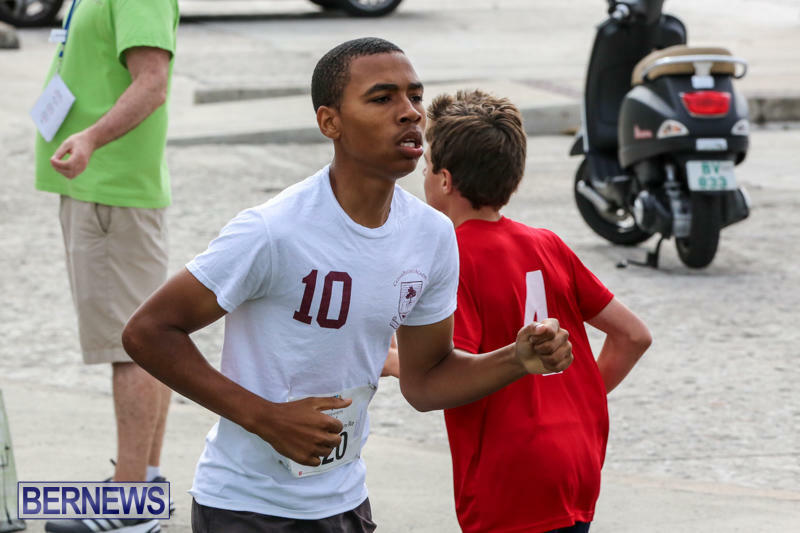 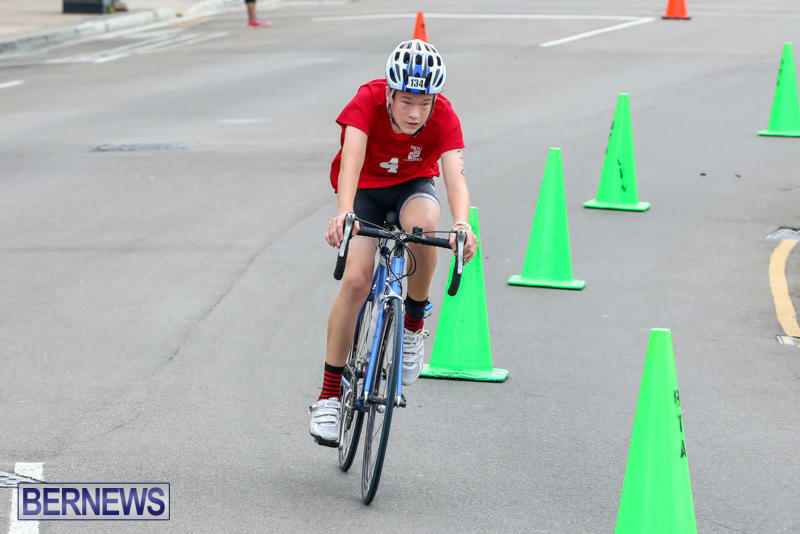 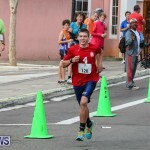 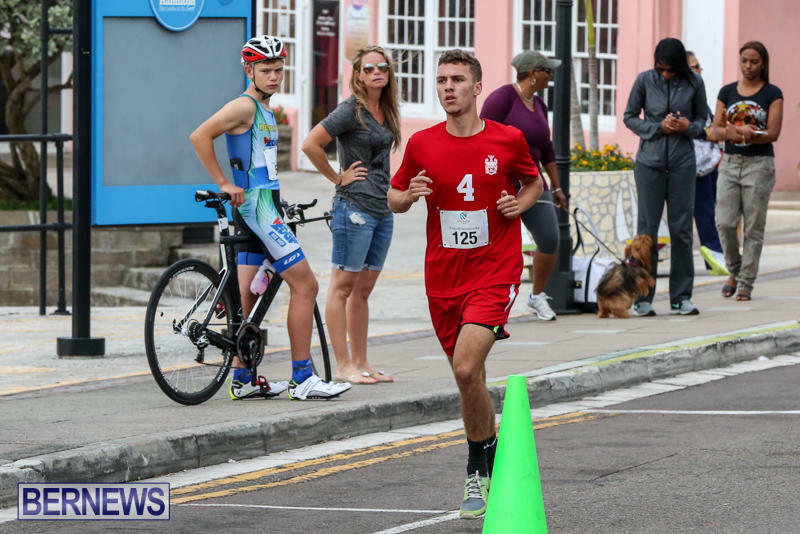 16 year old Smith dominated the field from the start to win by three and a half minutes clocking a time of 1:01:36 while Olcheski – Bell finished 9th overall clocking a time of 1:11.25. 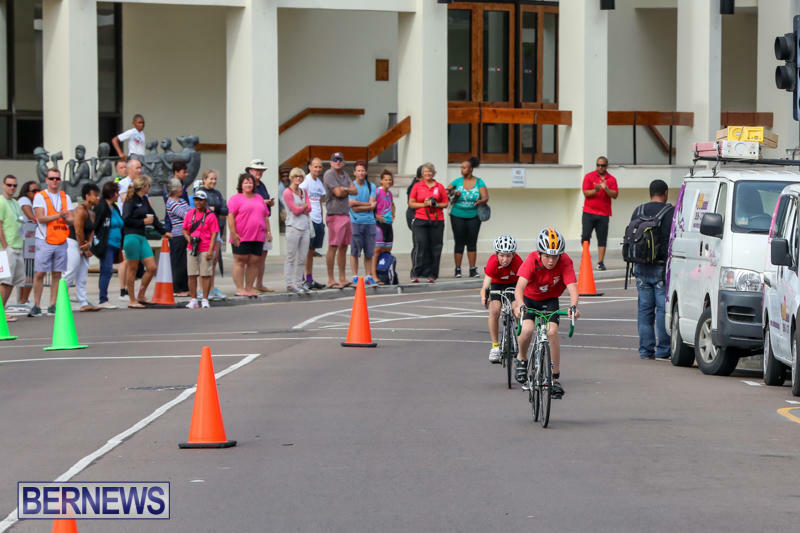 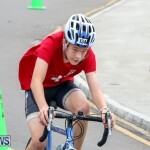 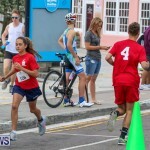 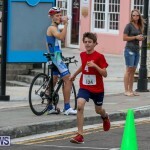 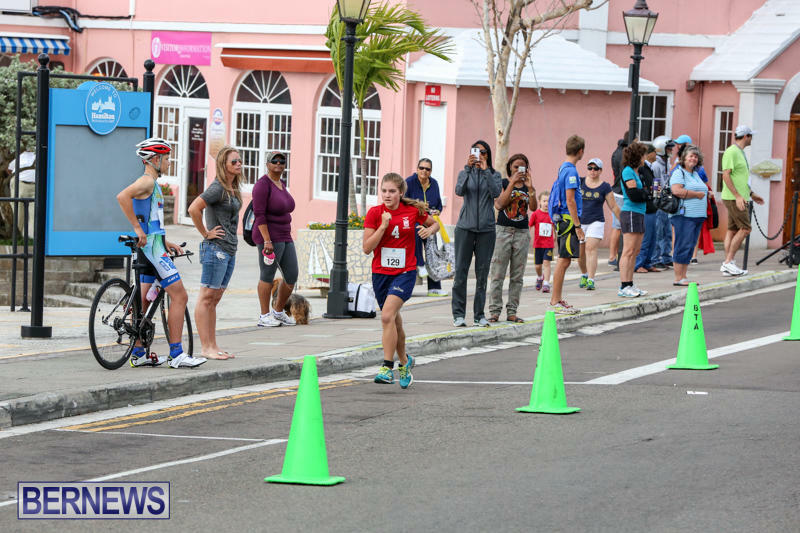 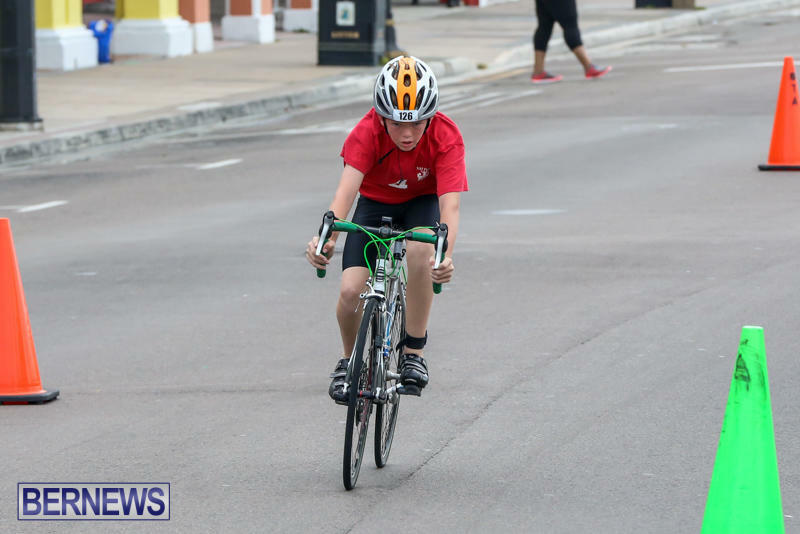 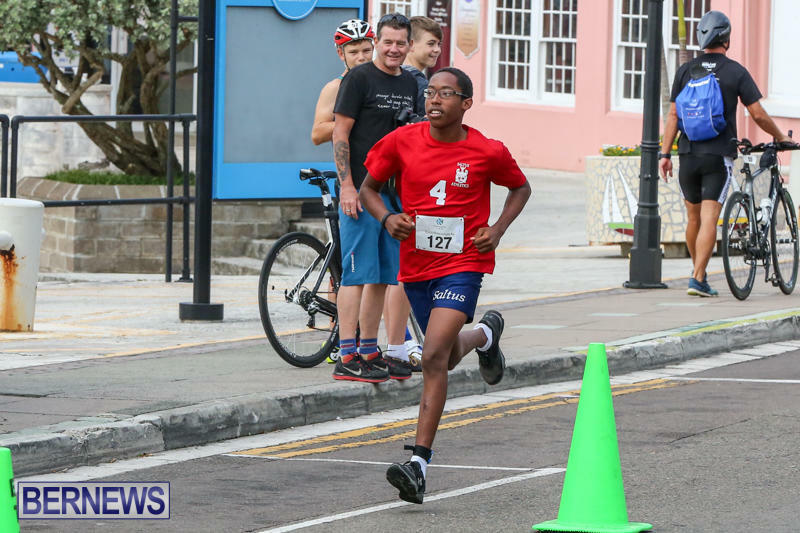 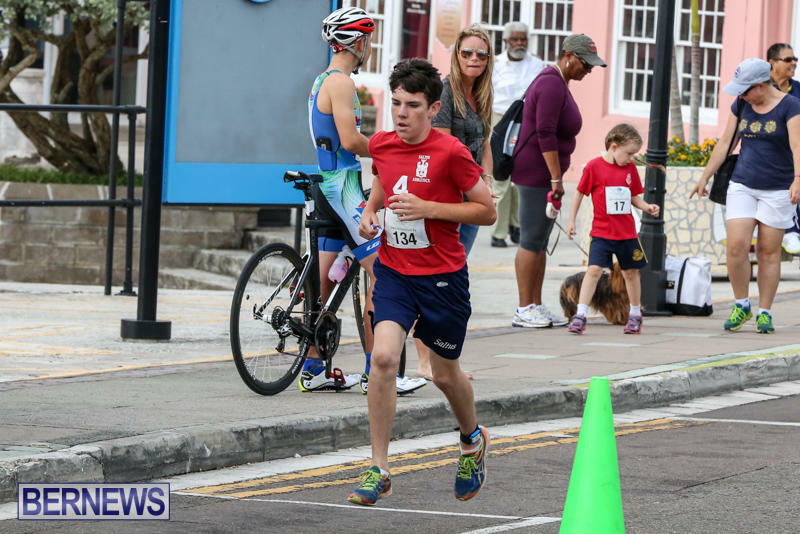 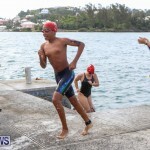 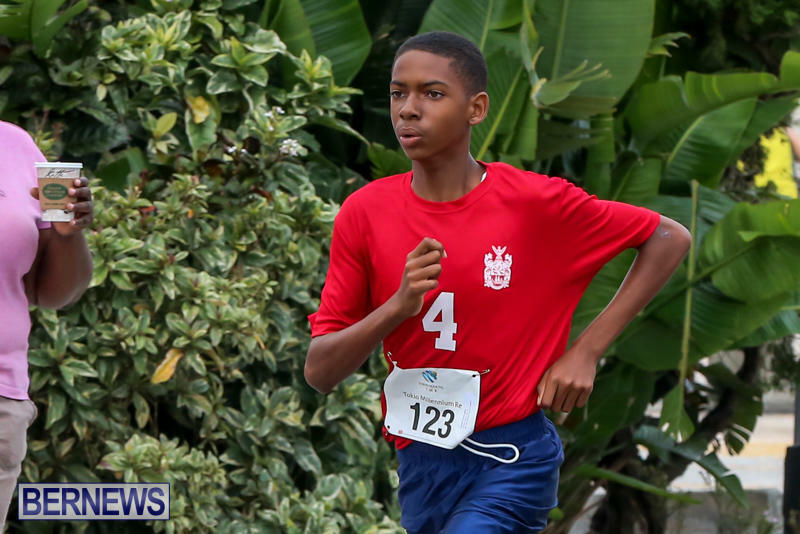 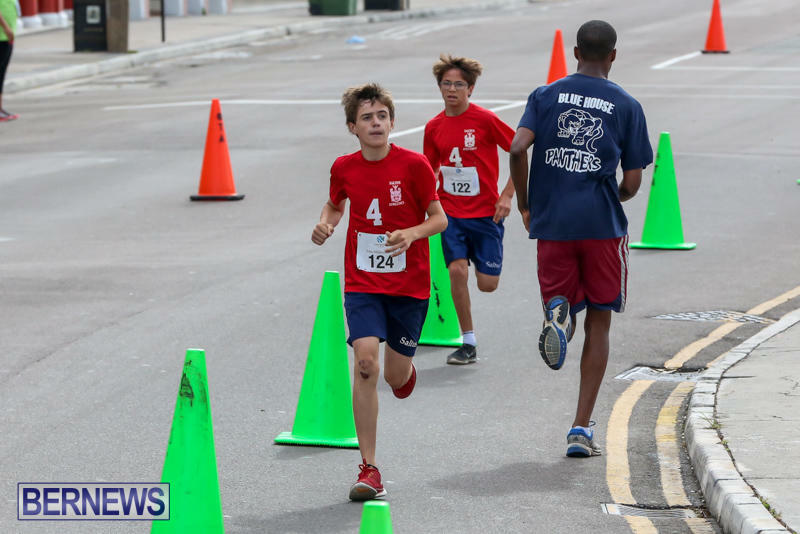 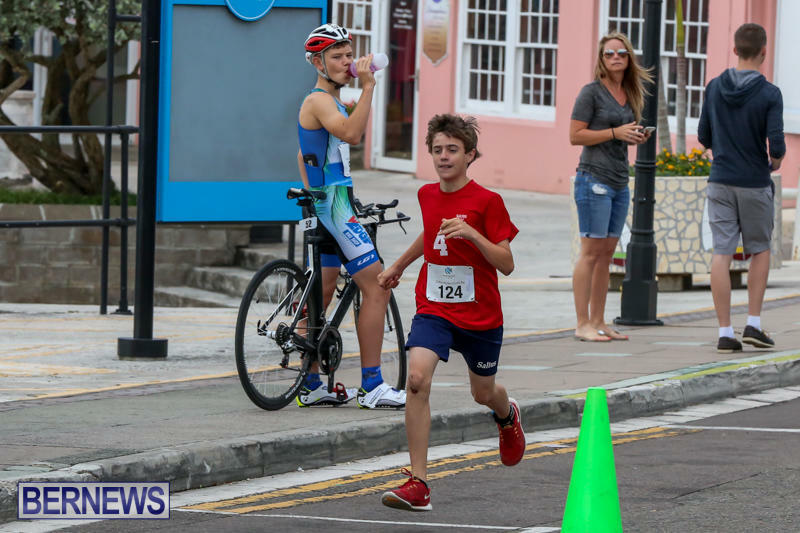 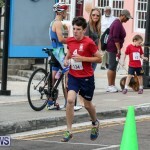 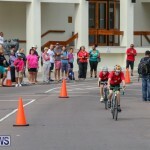 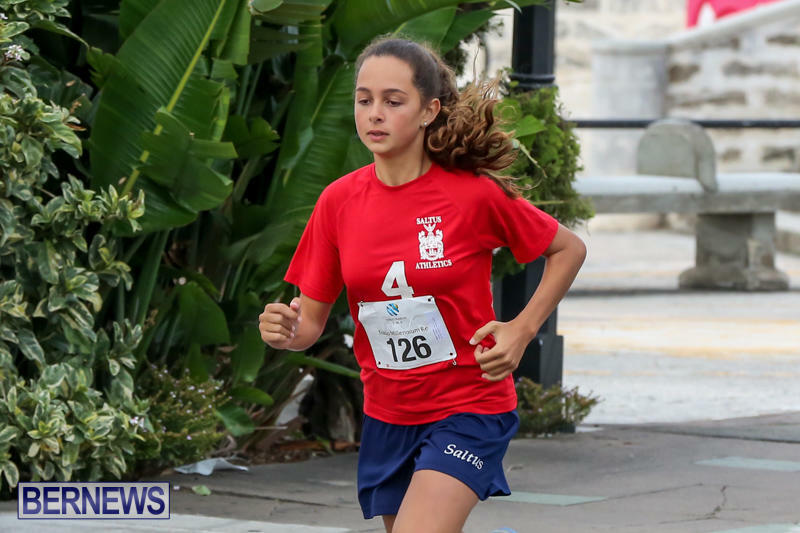 Team Saltus Knights2 came first in the school triathlon with team members Cathal Rynne, Daniel Oatley and Kaden Hopkins recording a combined time of 23:08. 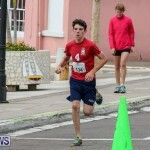 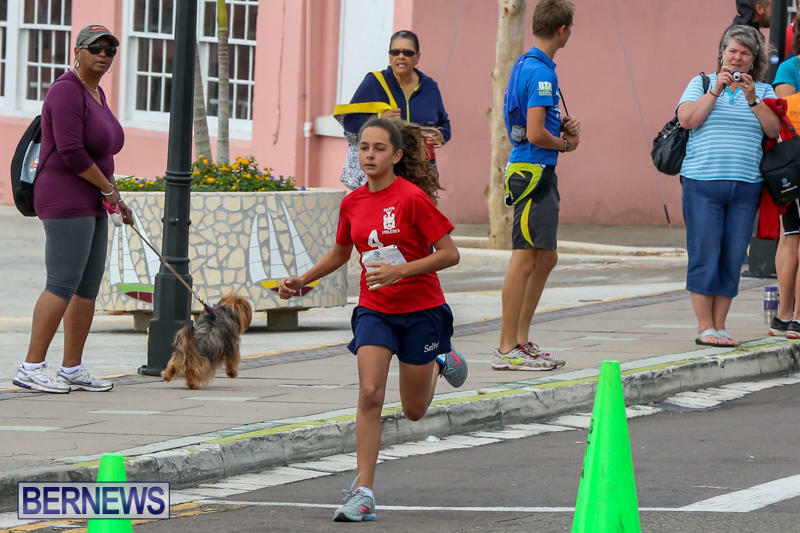 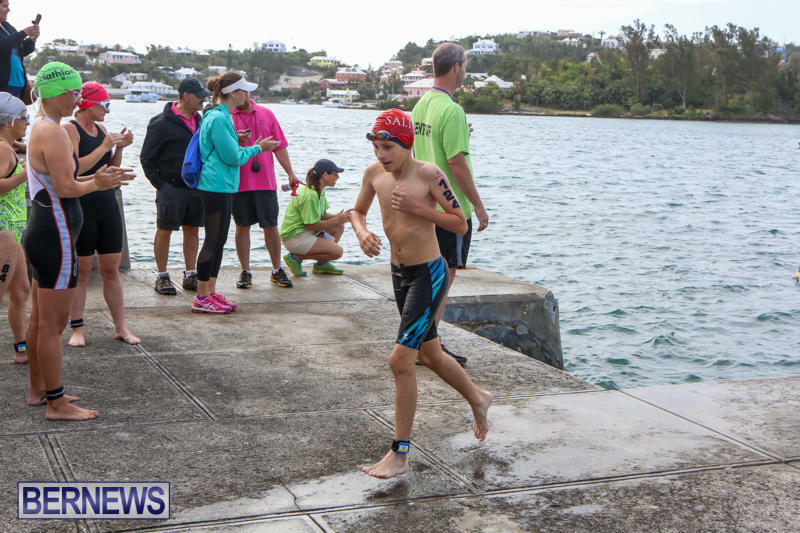 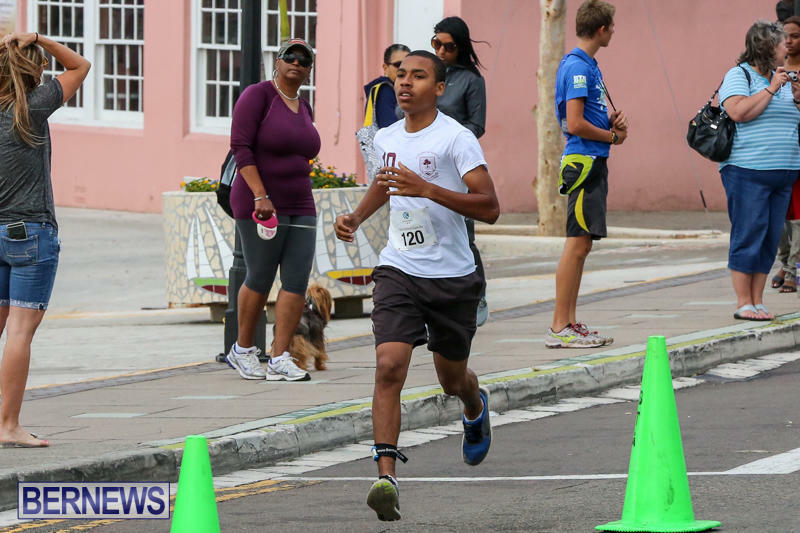 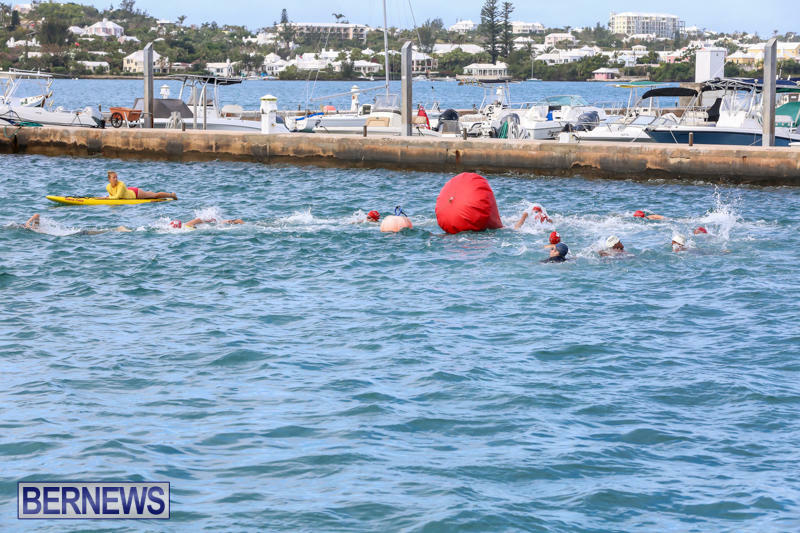 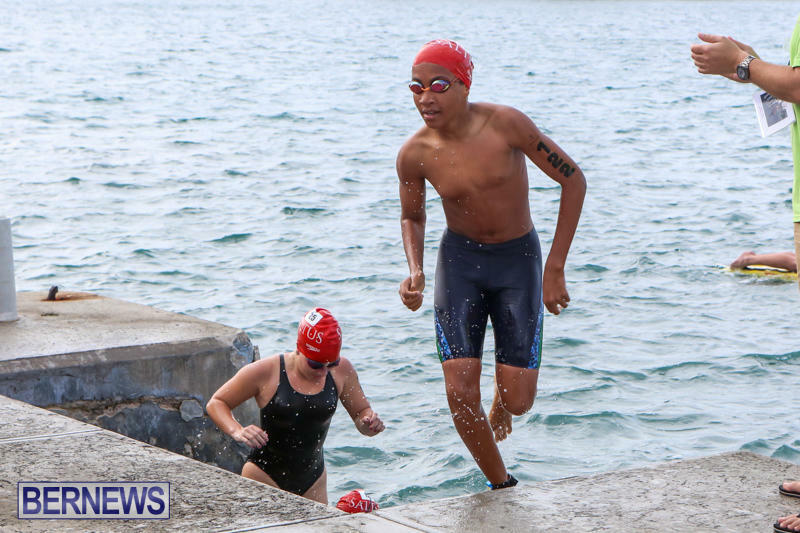 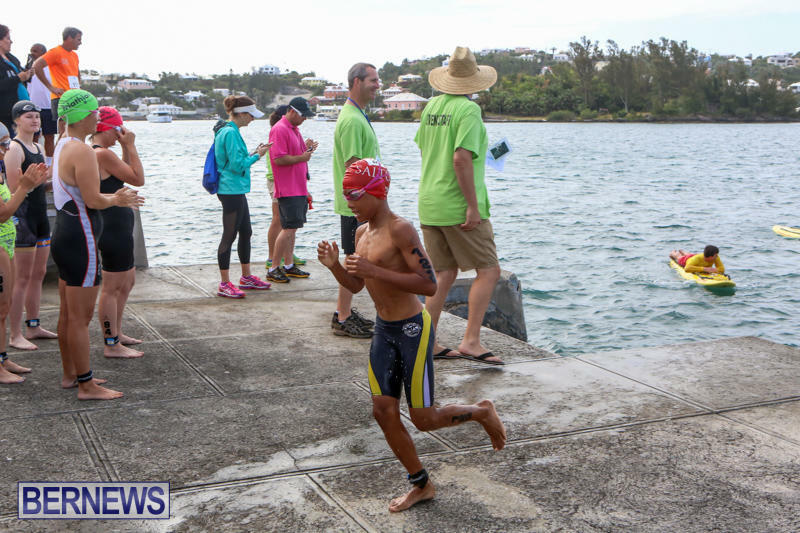 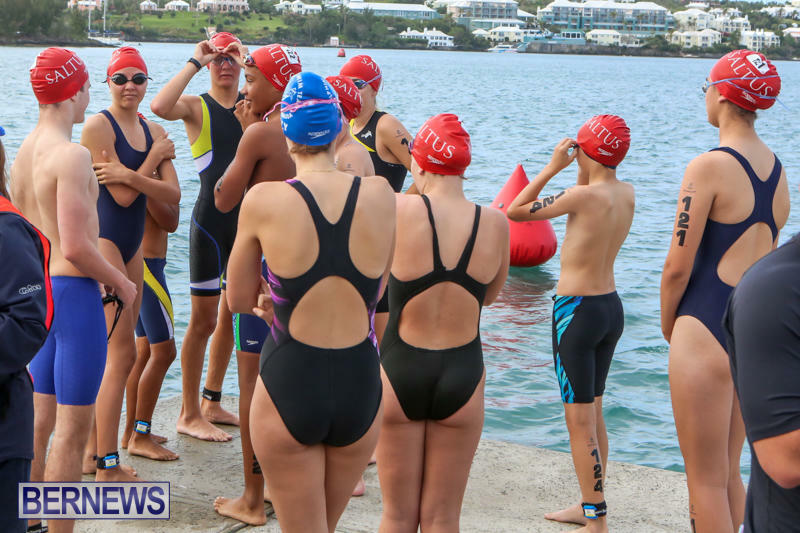 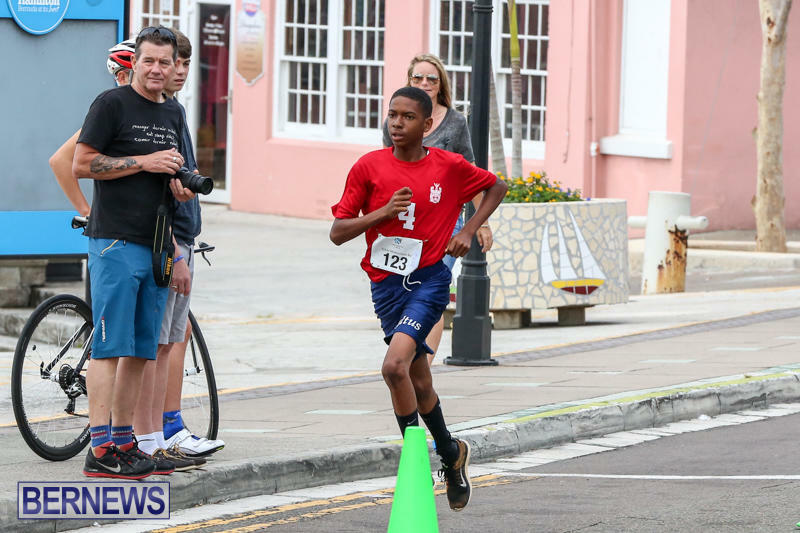 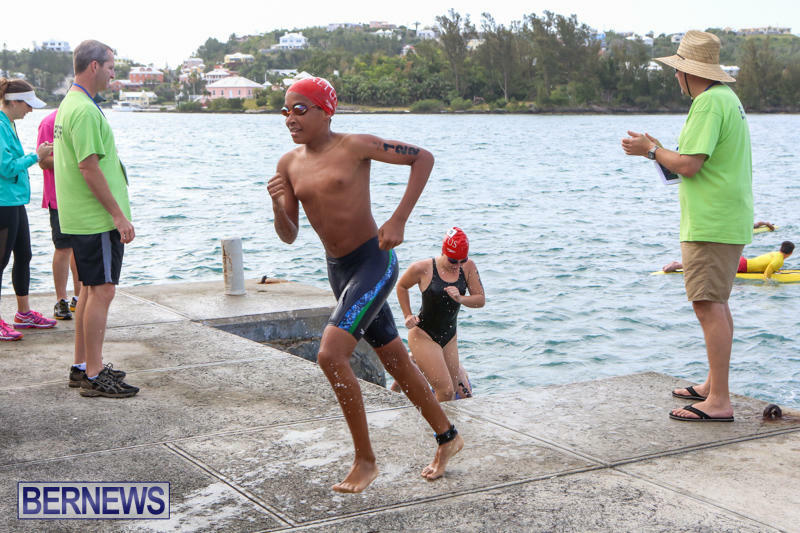 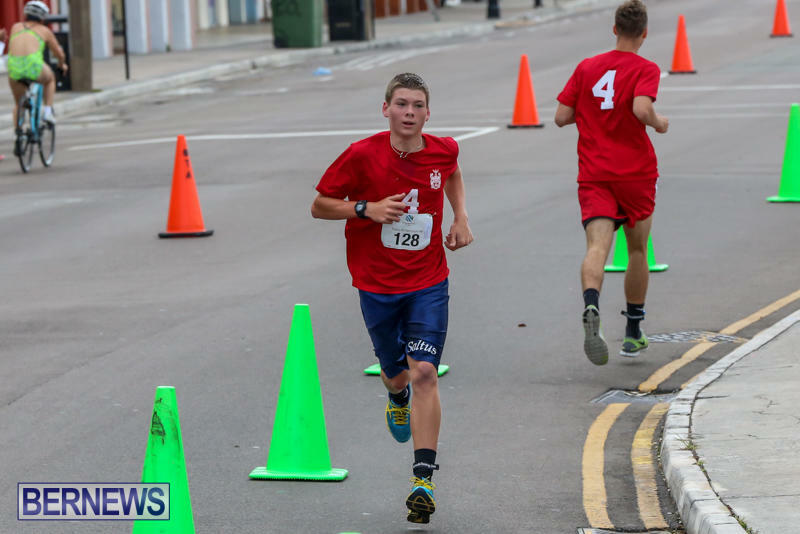 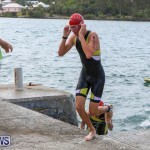 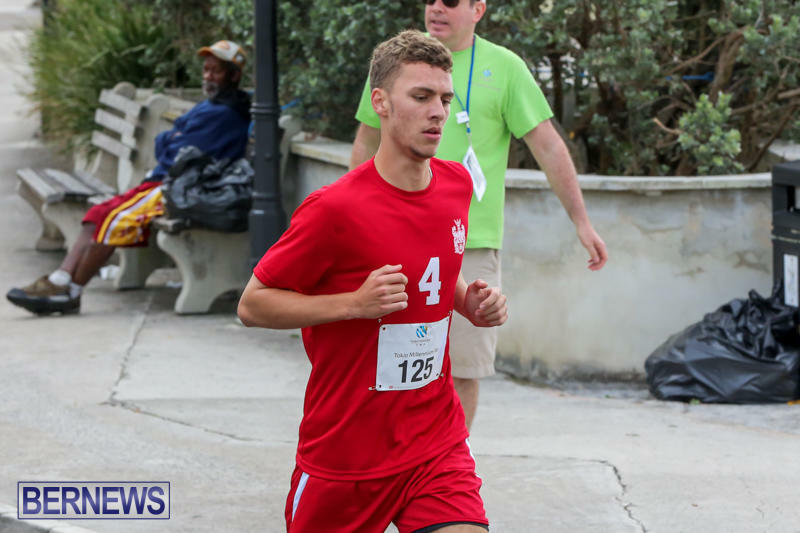 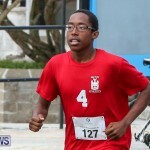 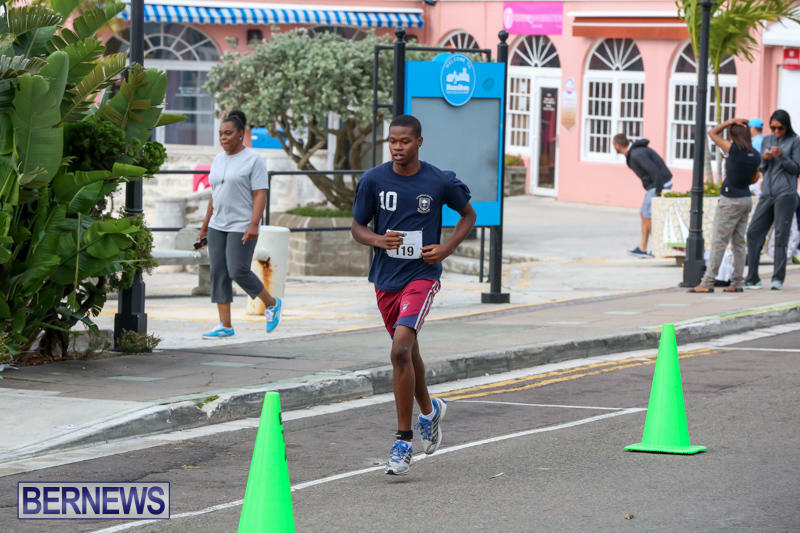 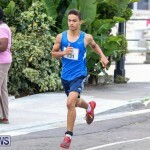 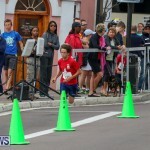 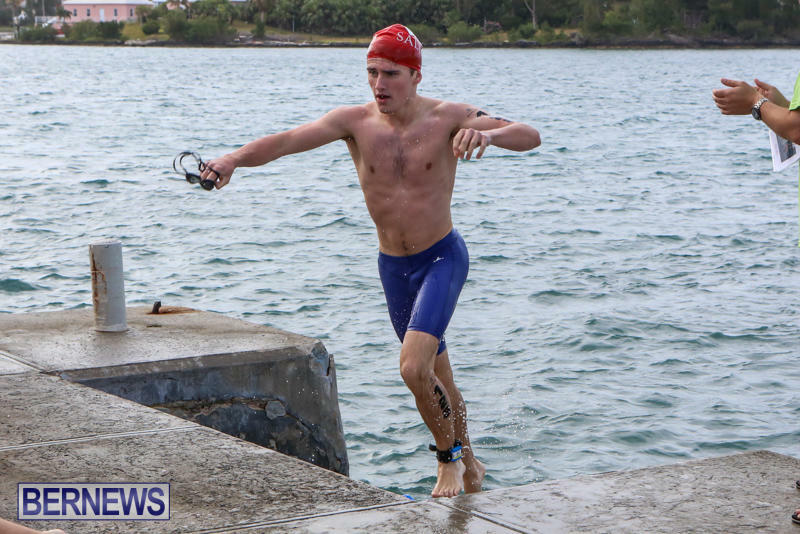 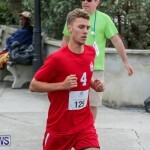 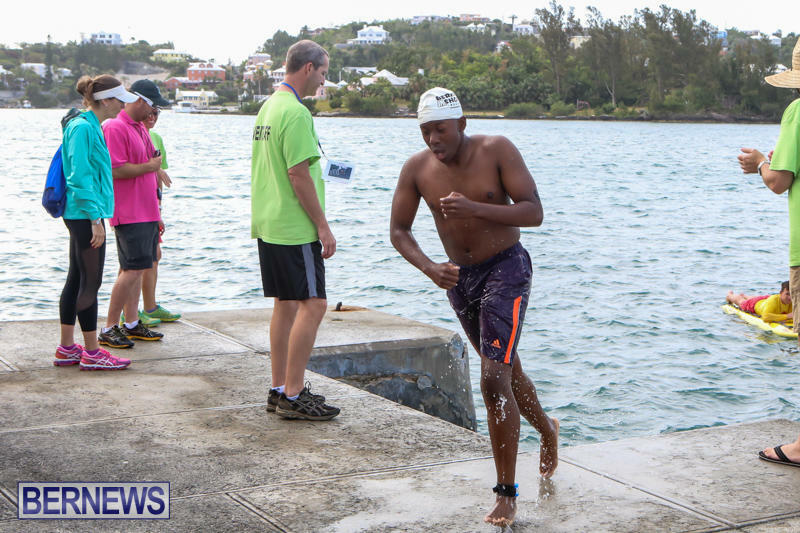 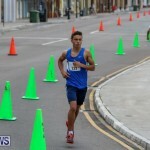 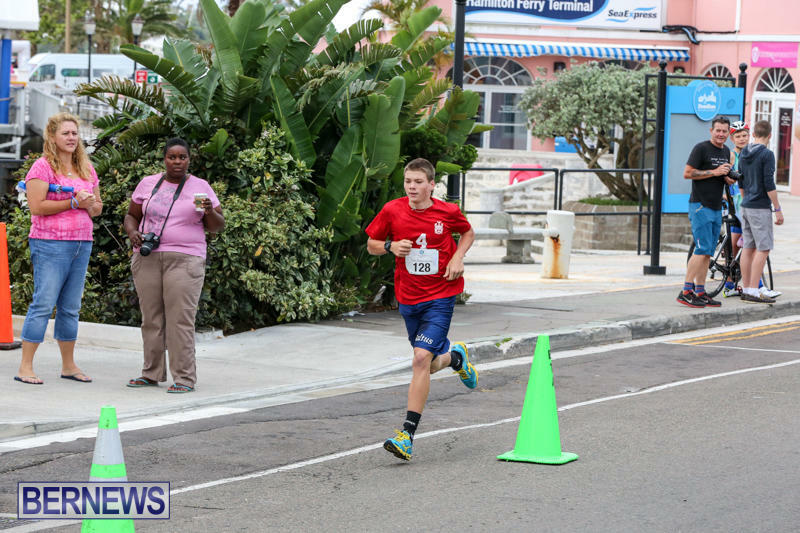 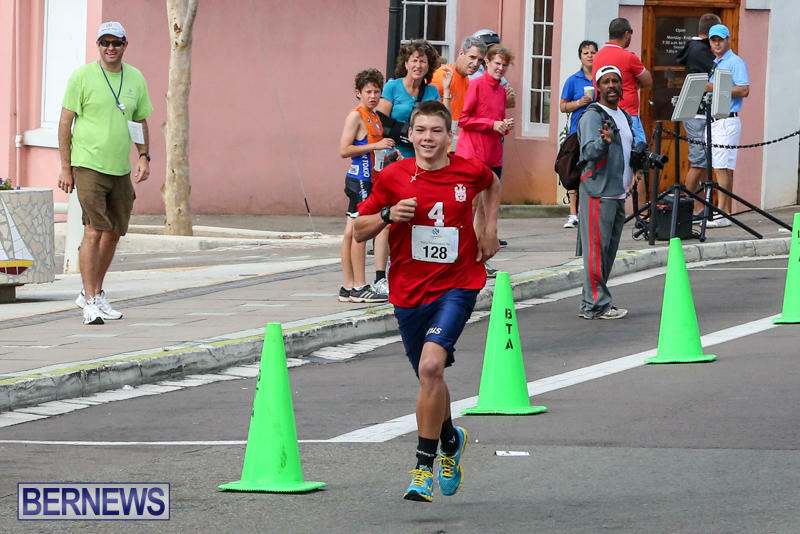 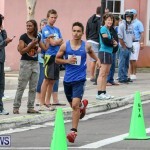 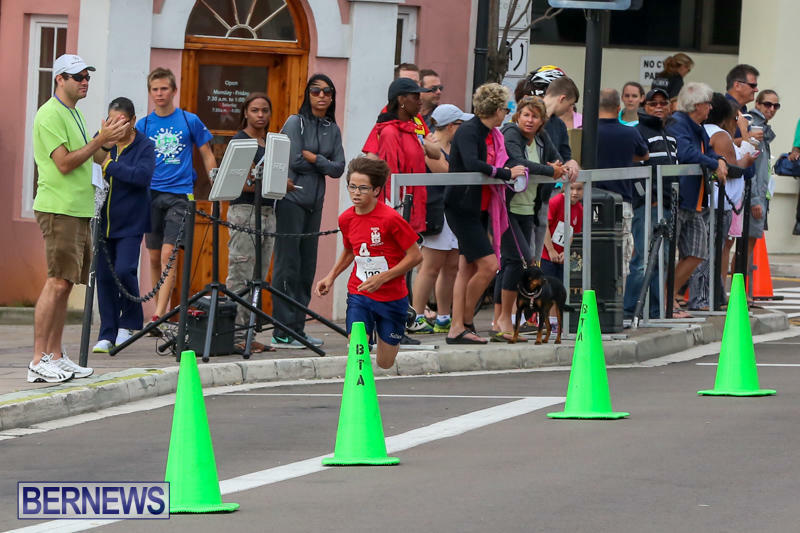 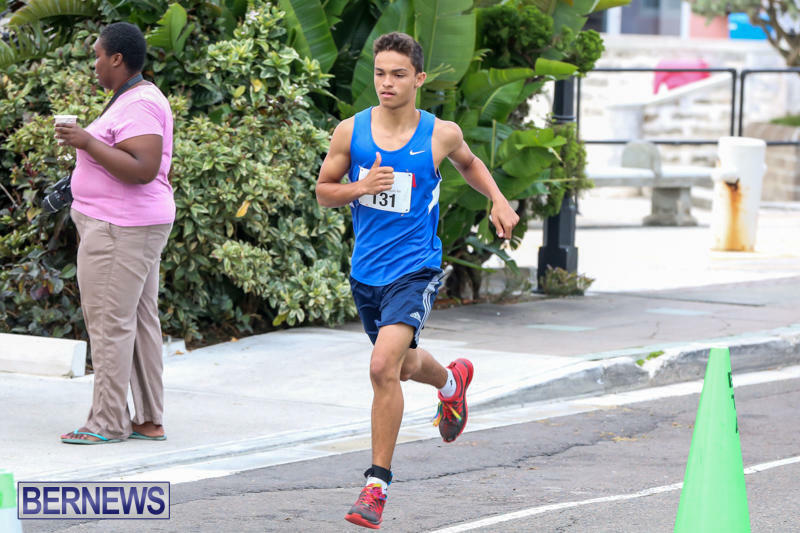 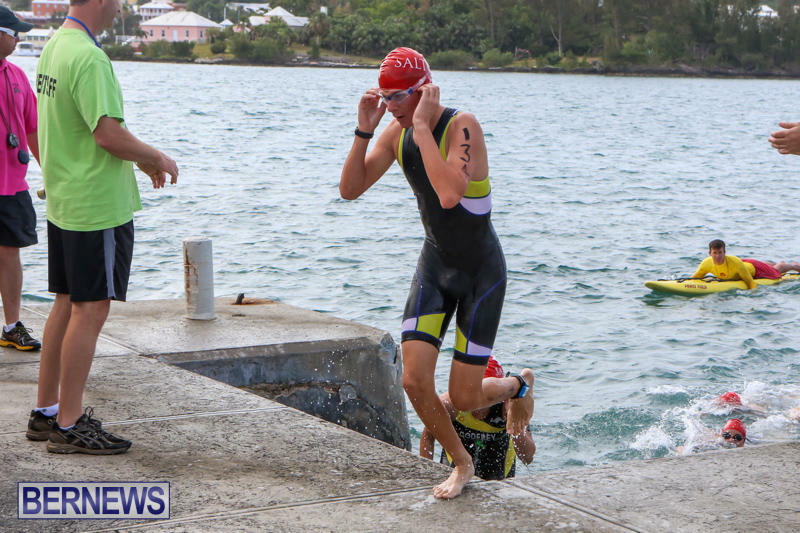 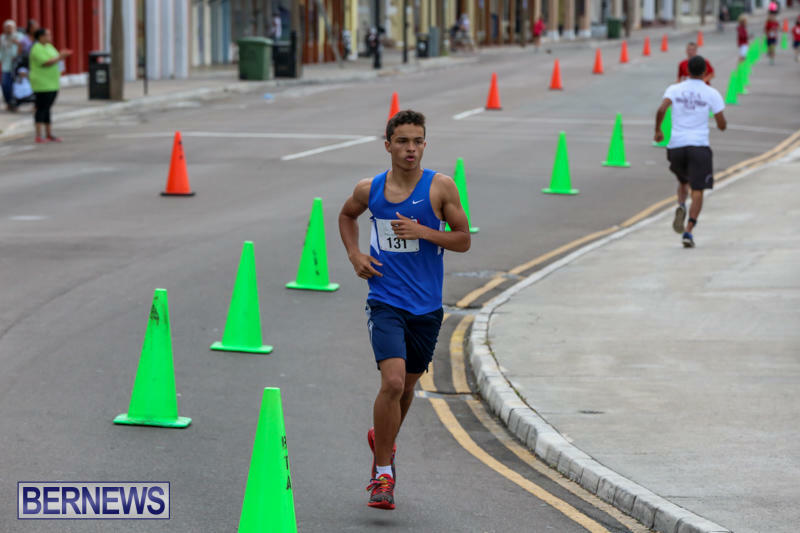 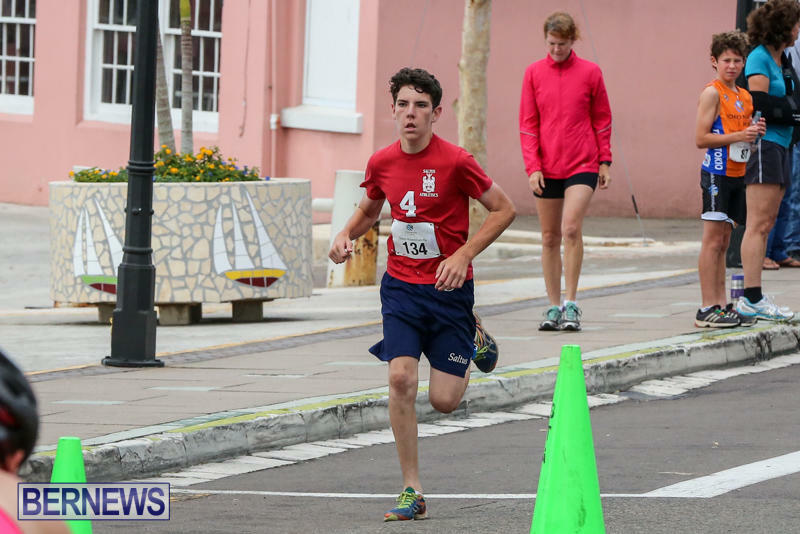 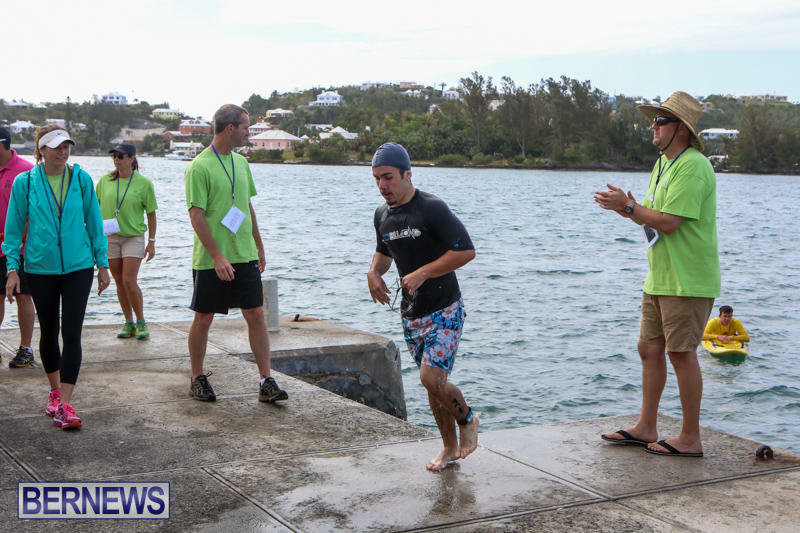 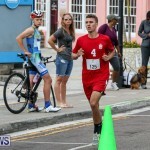 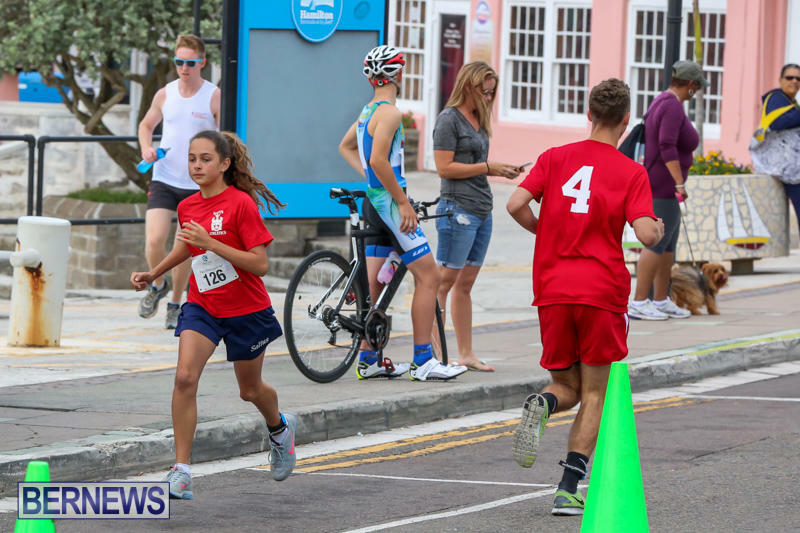 Saltus Knights members Myles Packwood, Ben Edwards and Max De Ste Croix came second in a time of 25:24 while Saltus Knights Reds2 members Kerry Palmer, Christian Oatley and Cavon Raynor placed third with a time of 26:12. 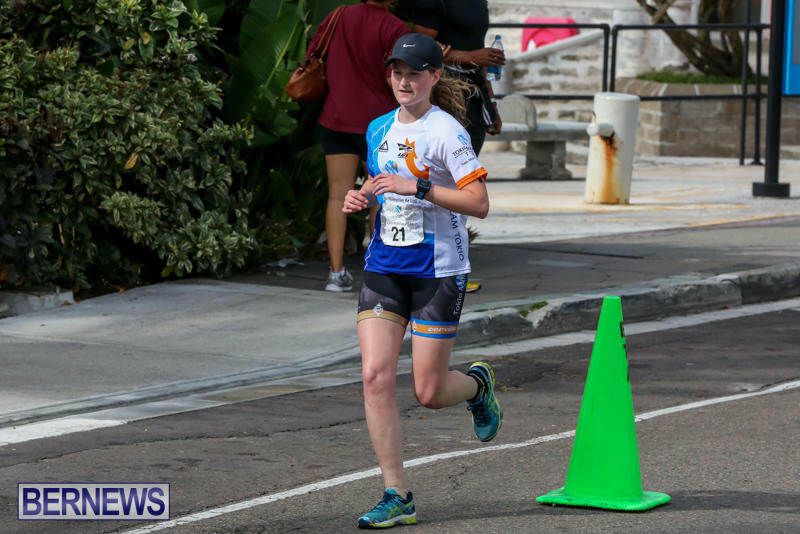 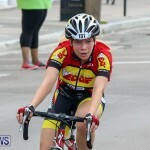 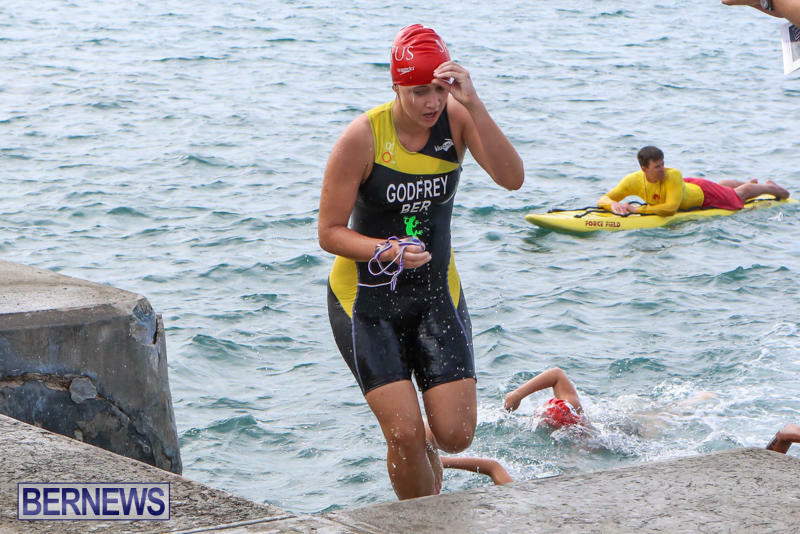 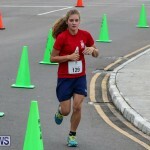 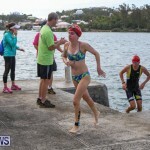 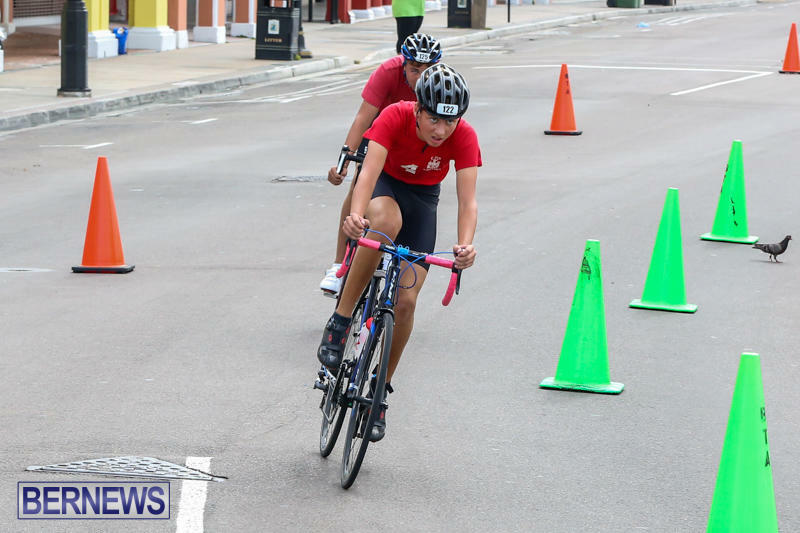 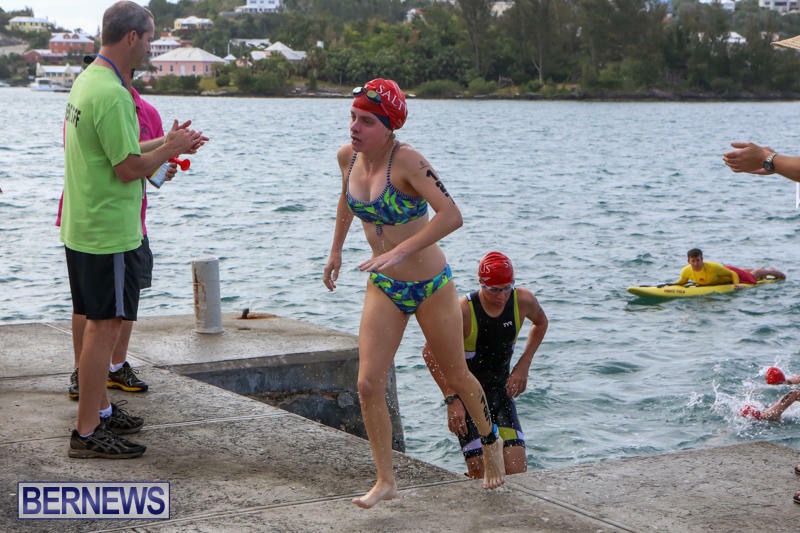 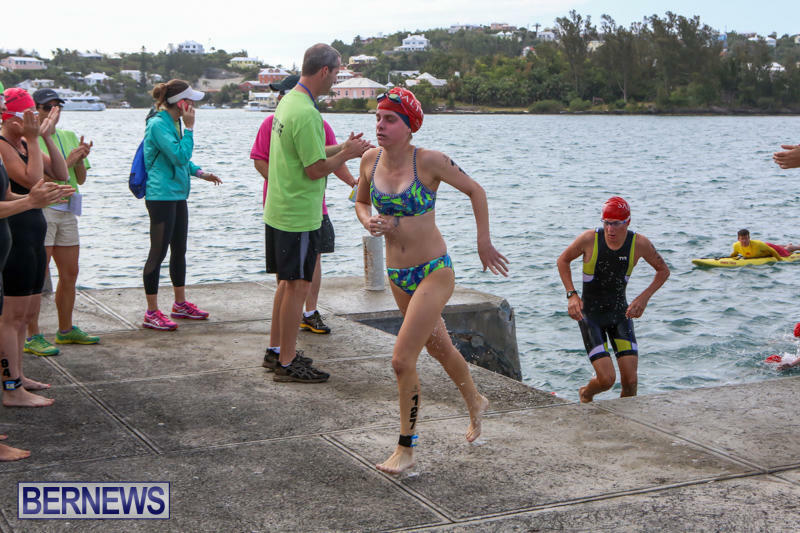 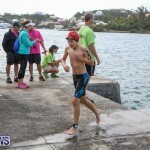 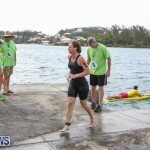 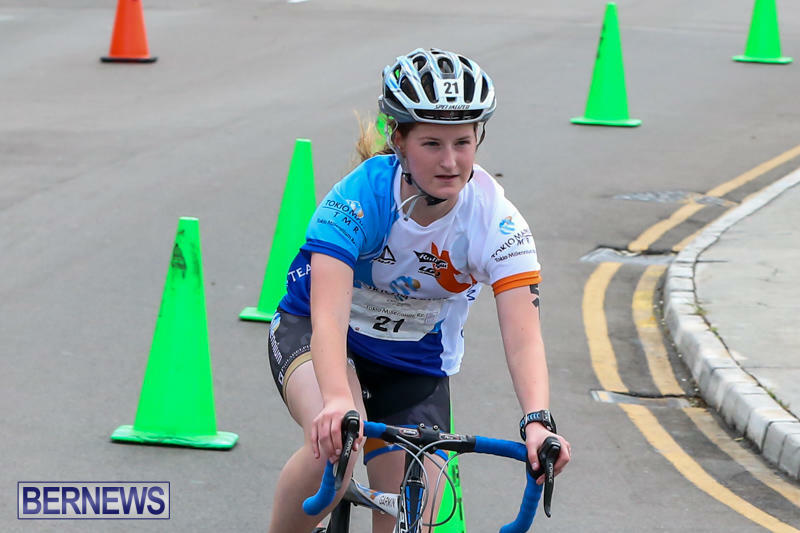 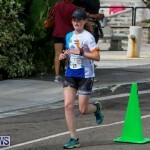 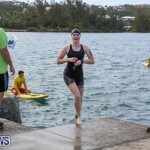 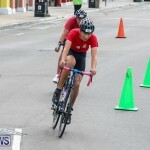 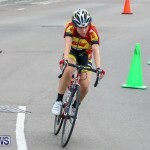 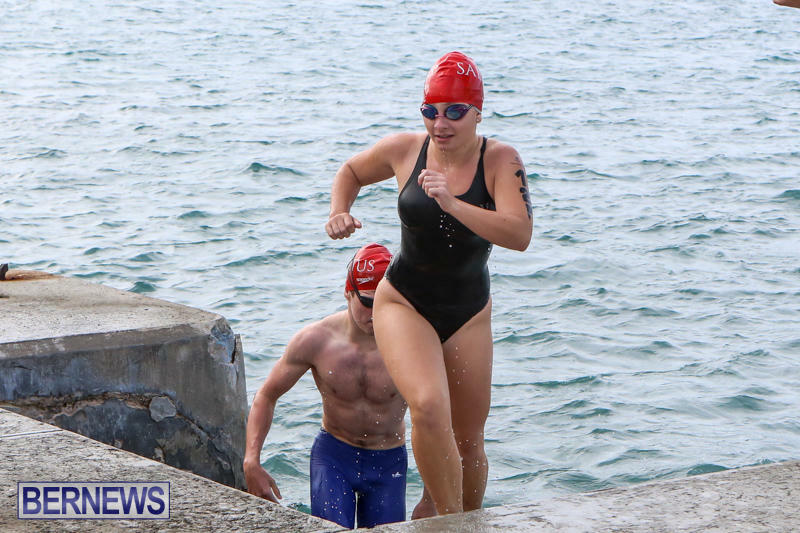 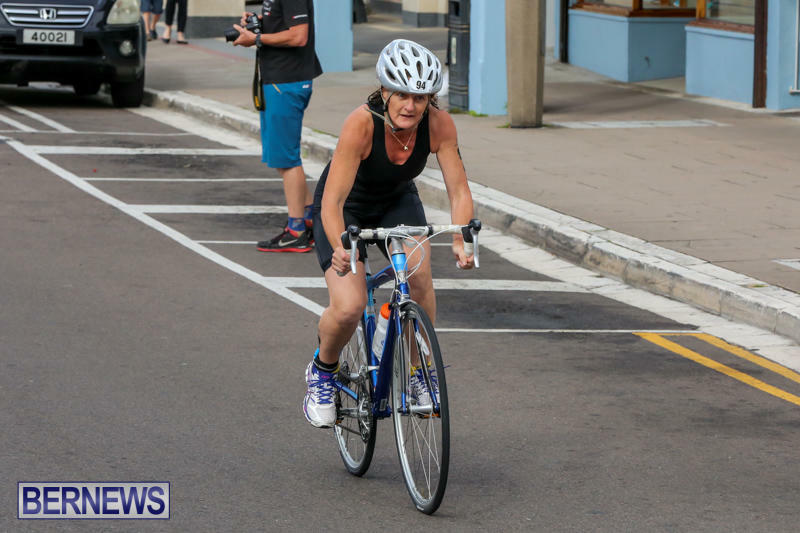 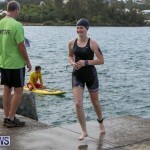 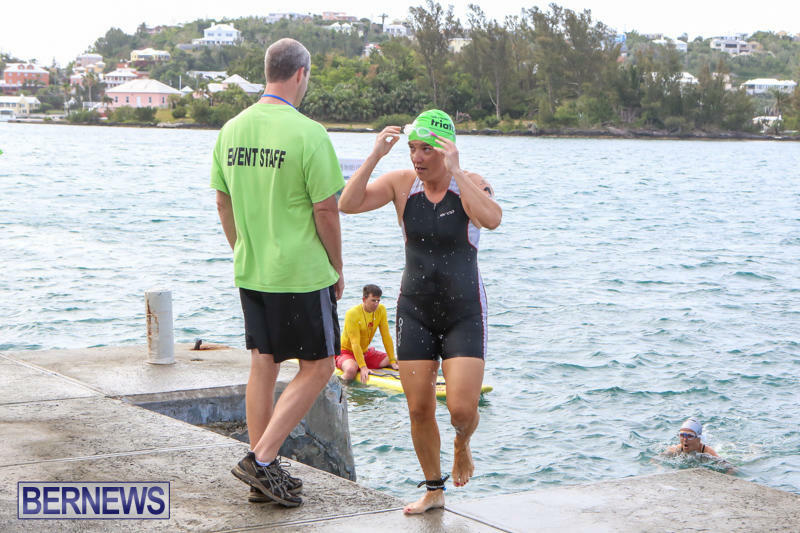 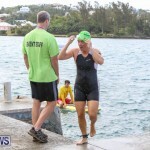 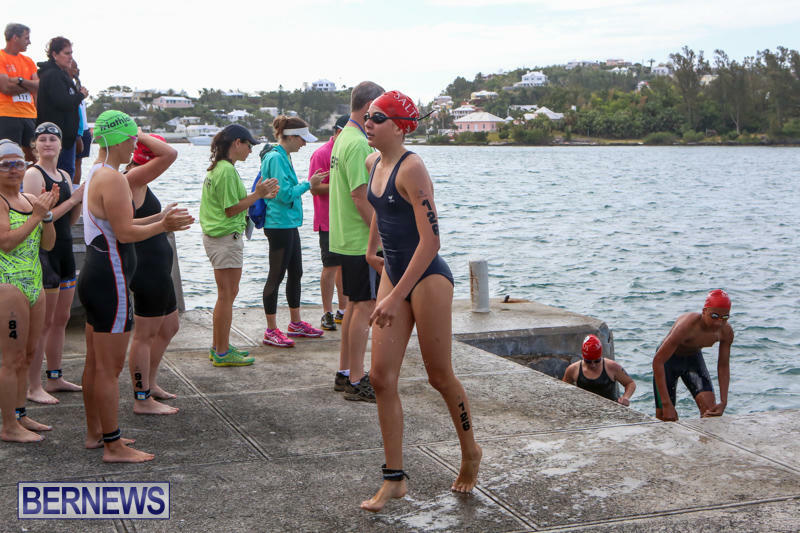 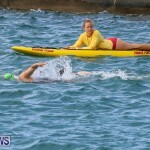 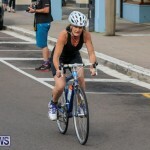 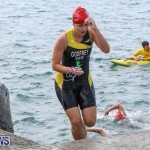 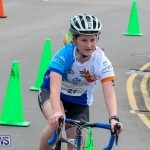 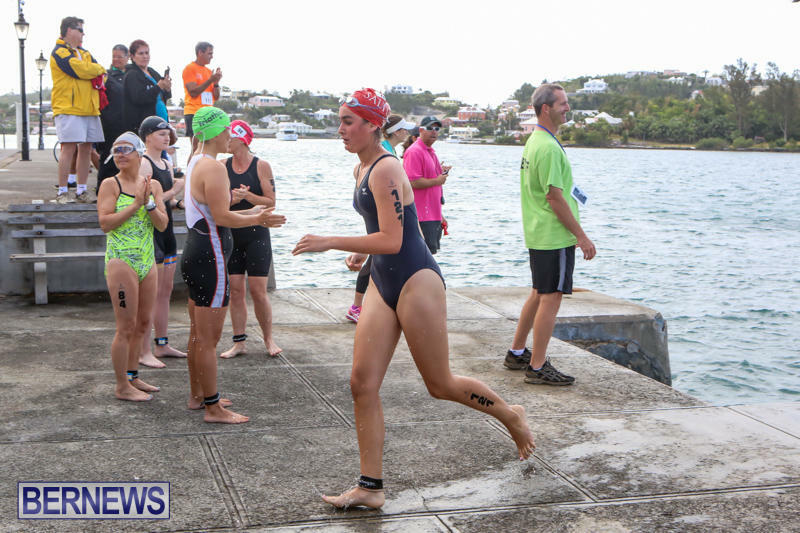 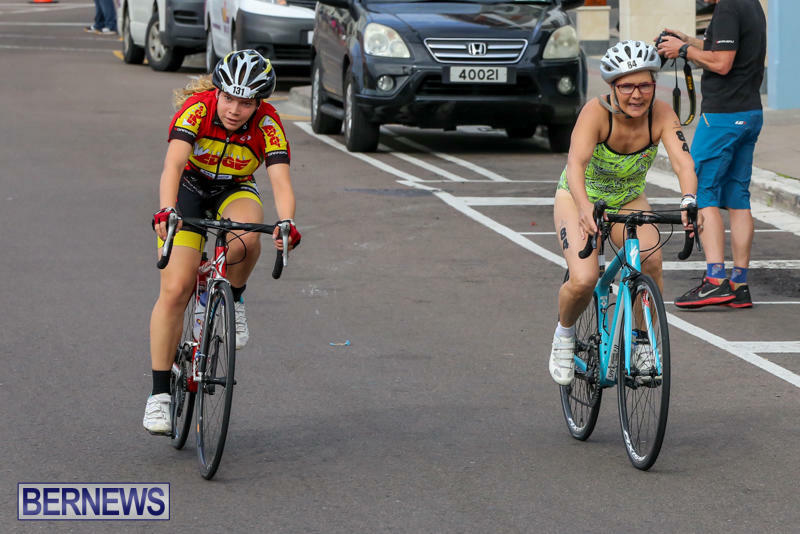 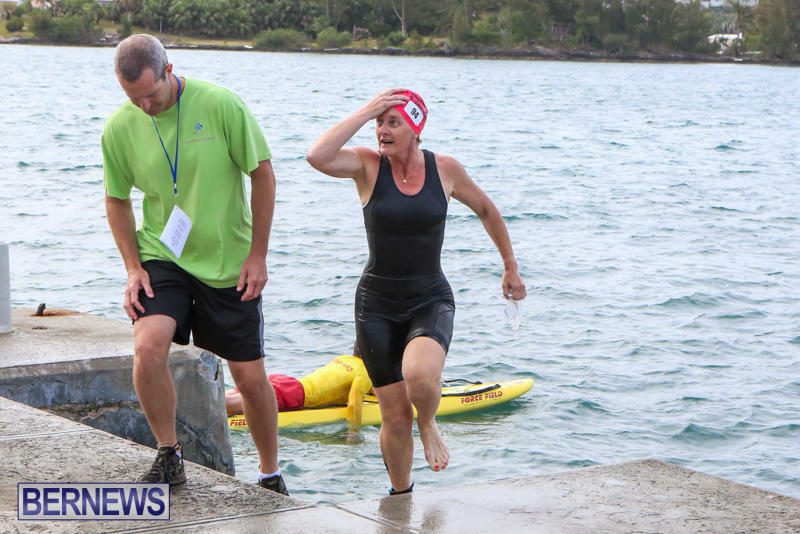 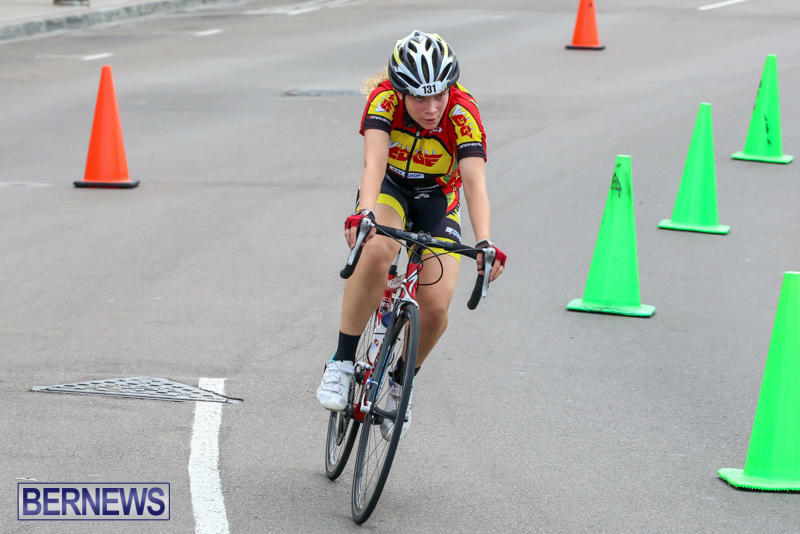 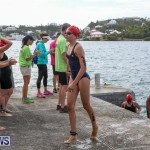 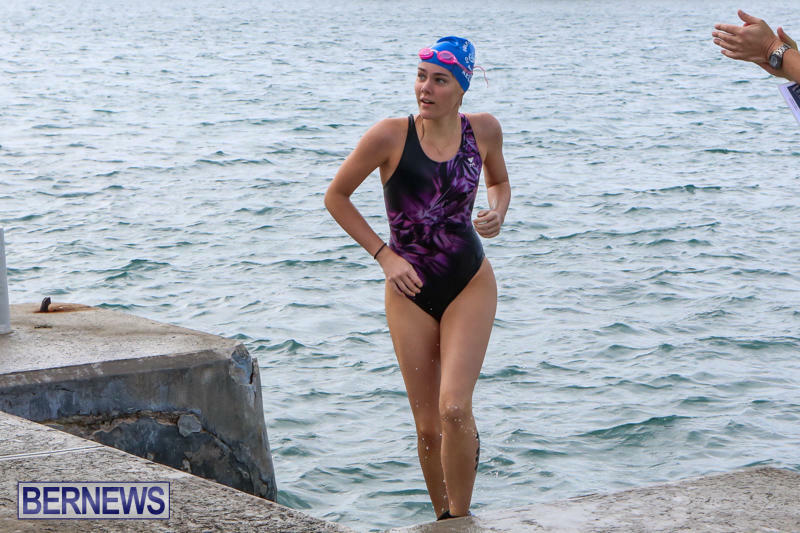 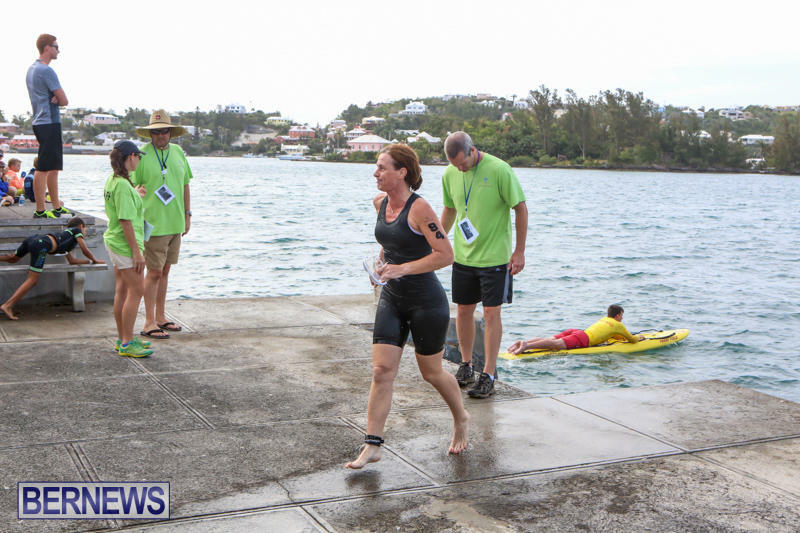 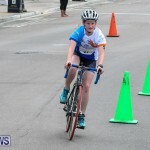 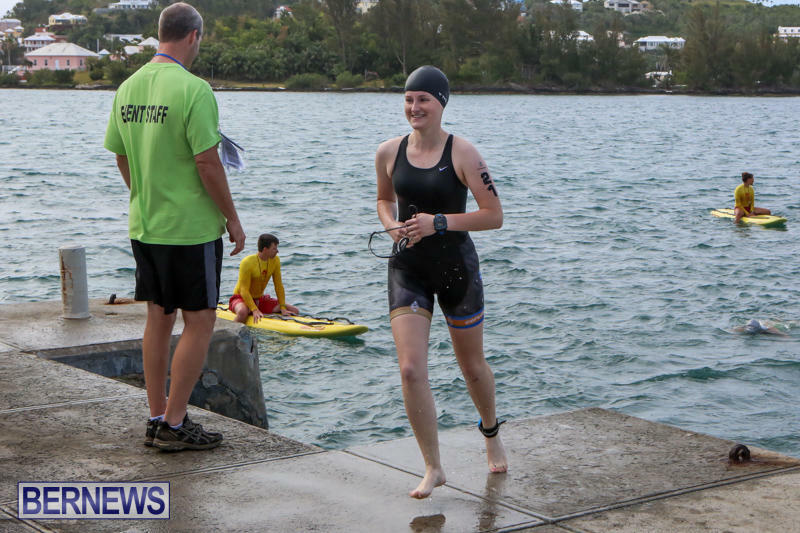 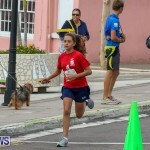 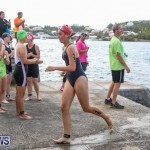 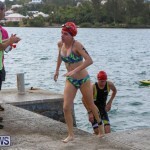 19 year old Elizabeth Jordan took first place honours in the Try A Tri category recording a time of 33:06. 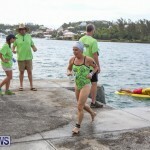 Joanna Heaney placed second in a time of 37:01 while Carole Collard took third place with a time of 38:07. 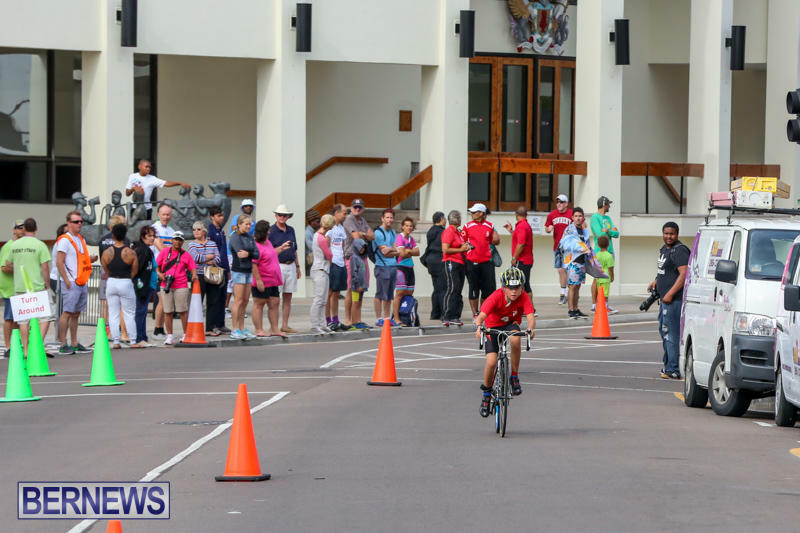 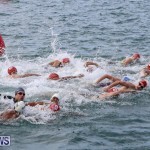 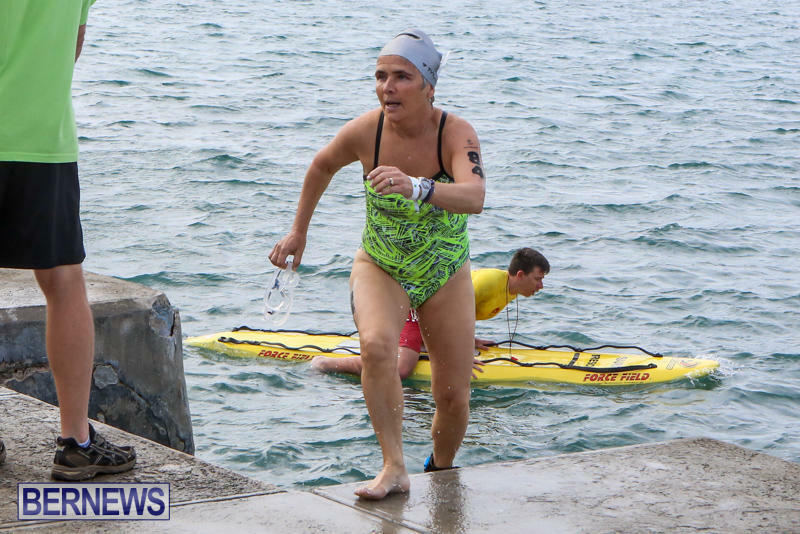 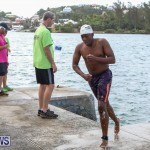 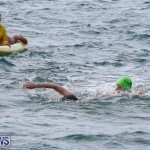 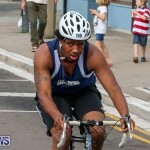 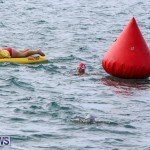 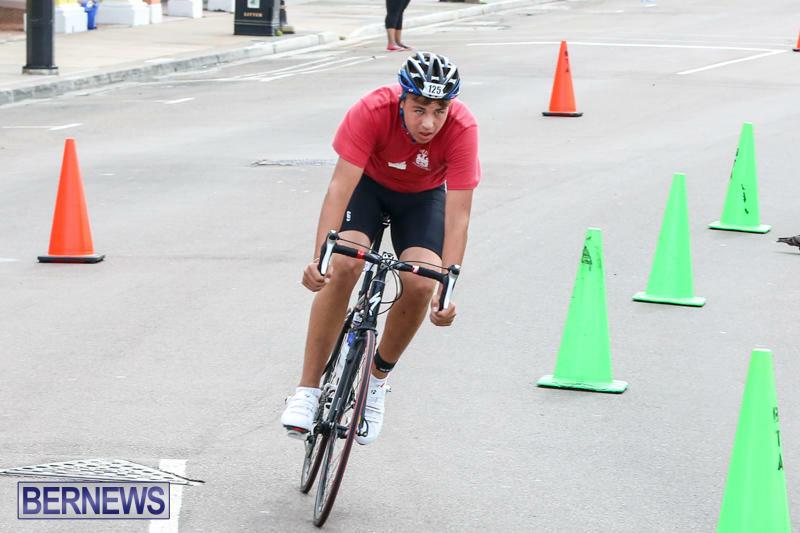 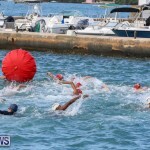 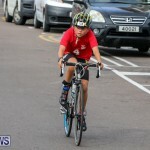 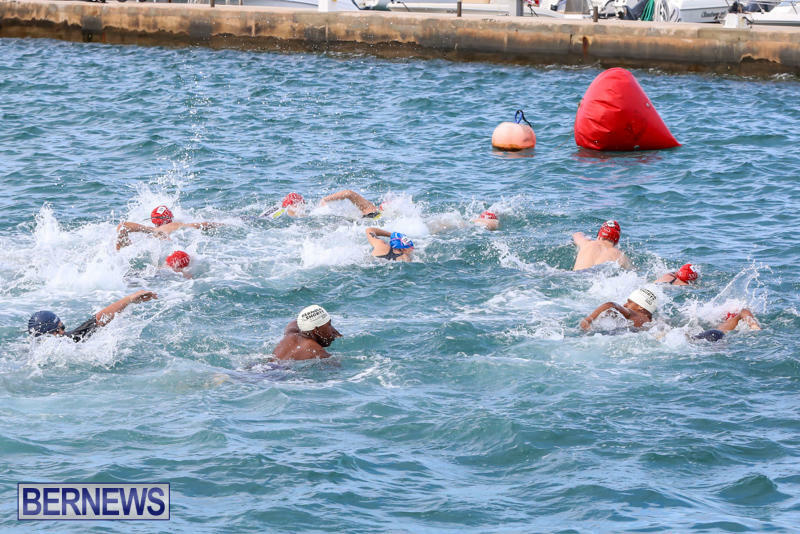 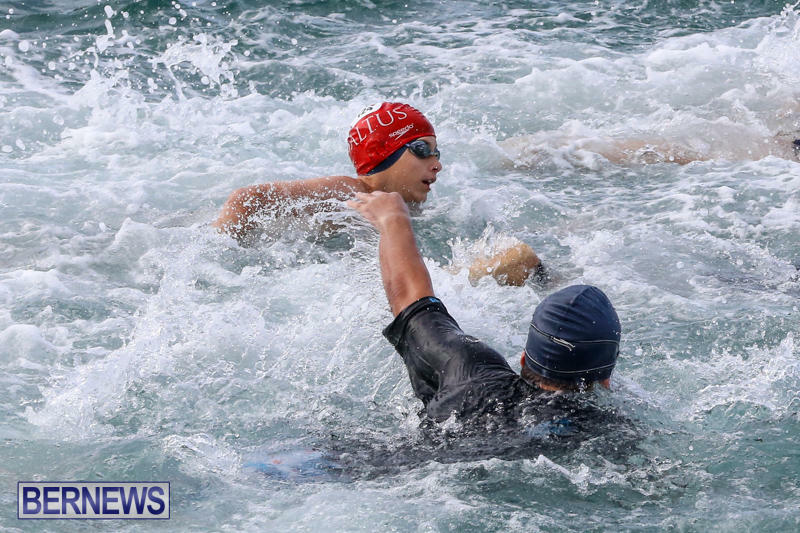 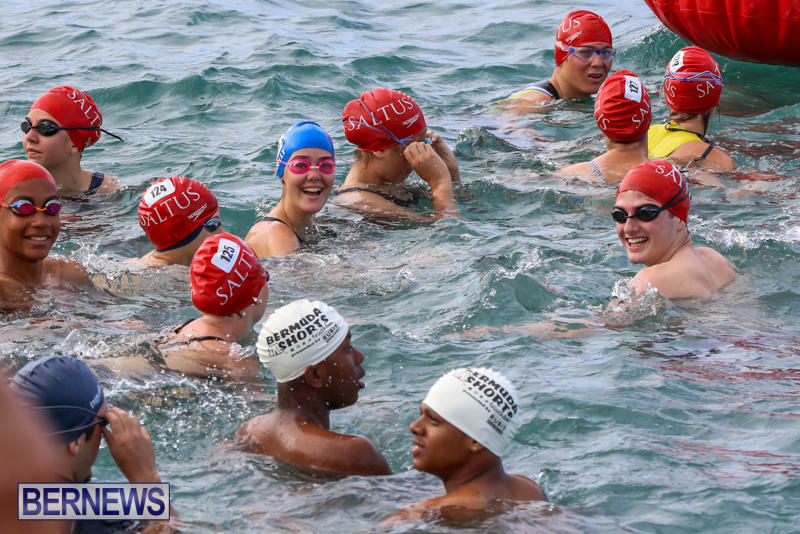 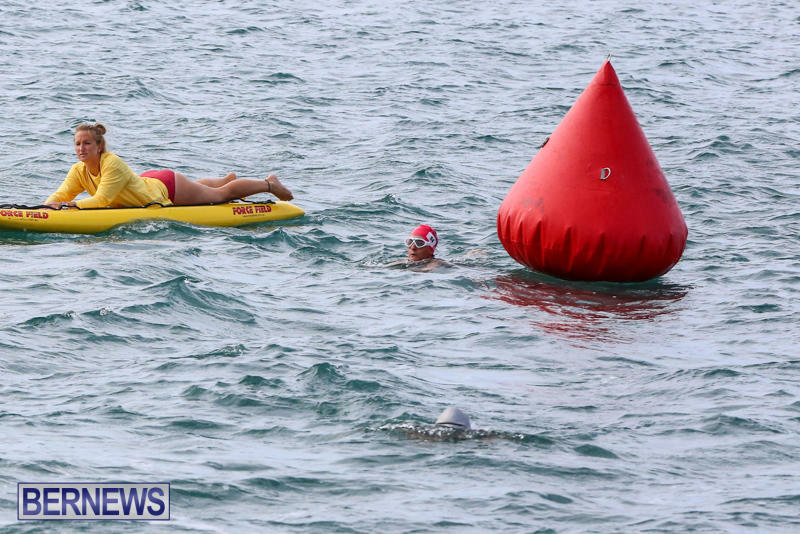 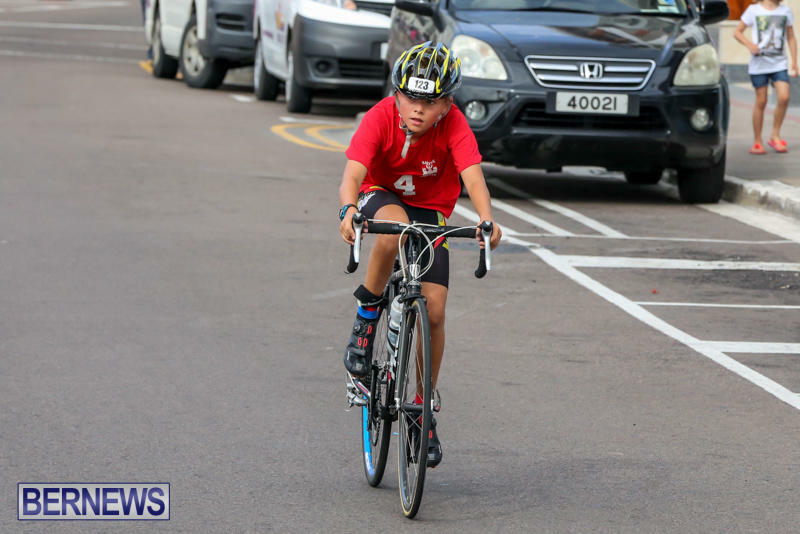 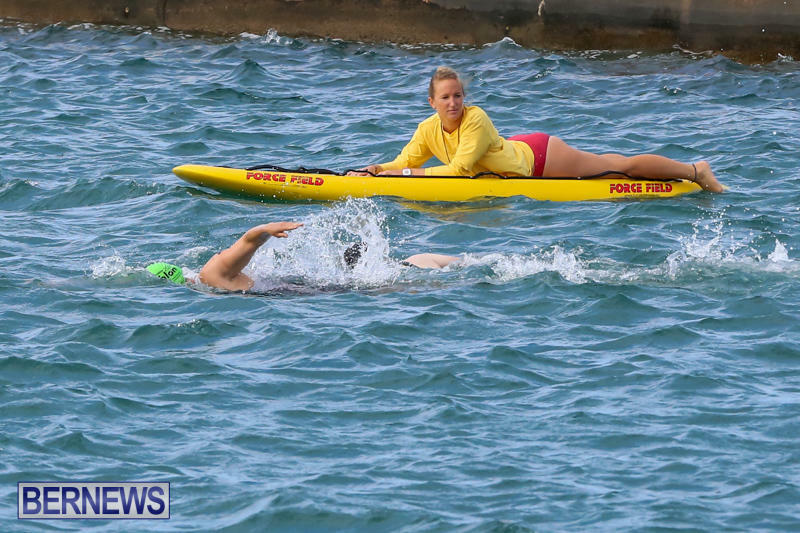 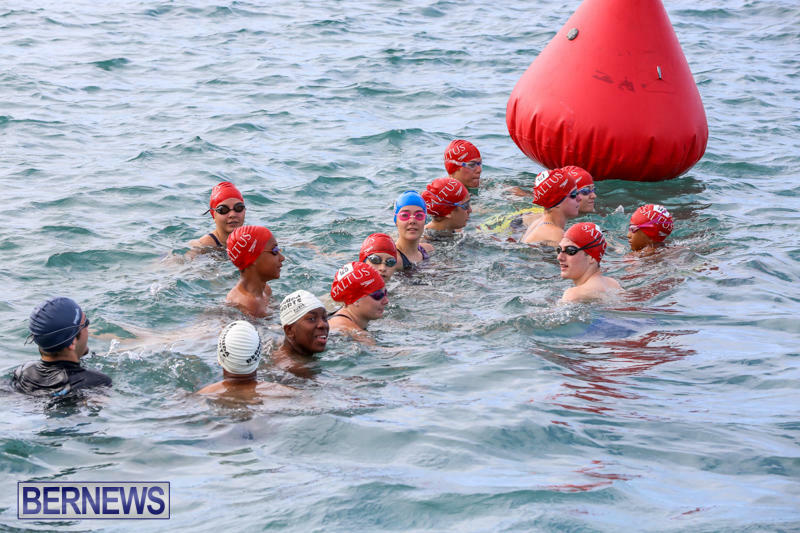 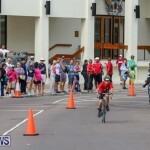 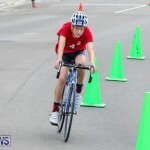 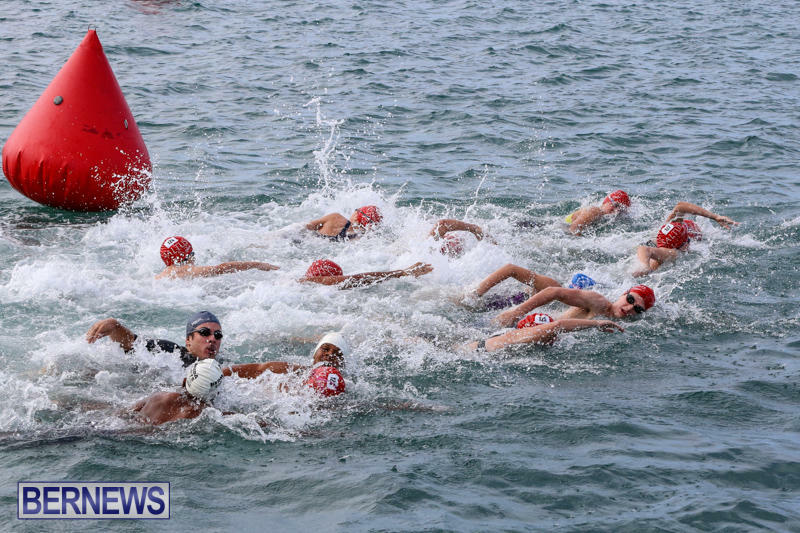 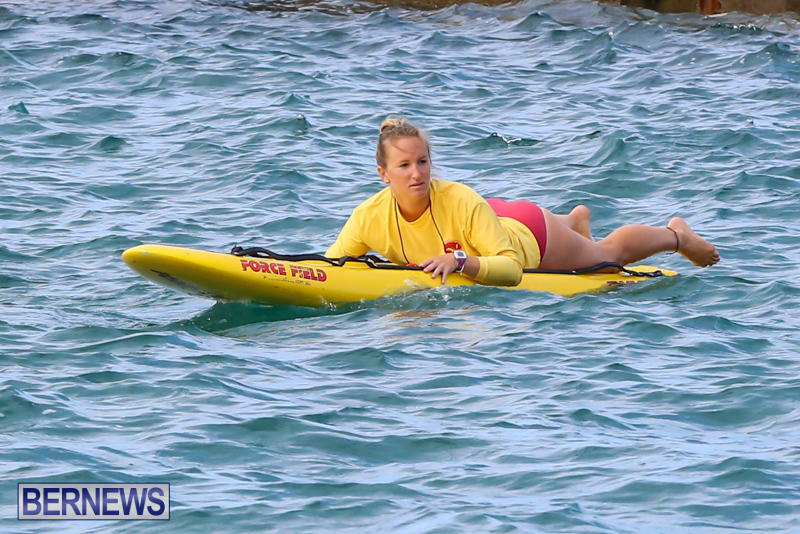 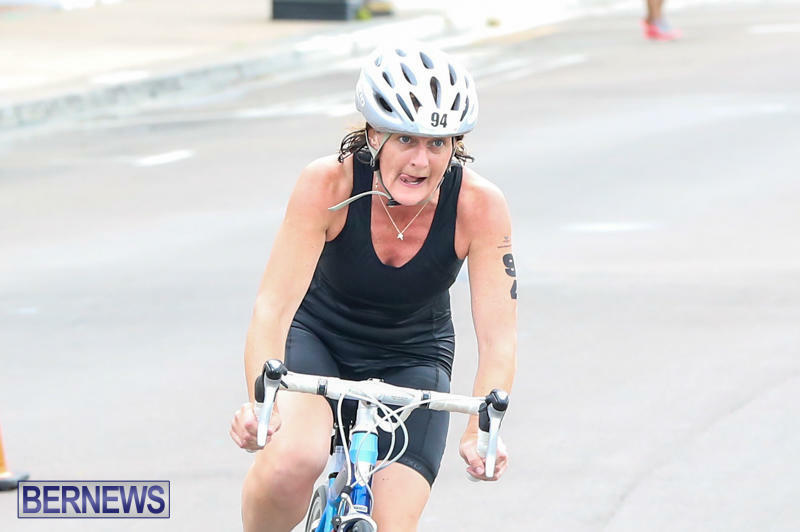 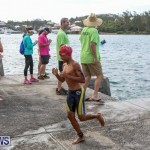 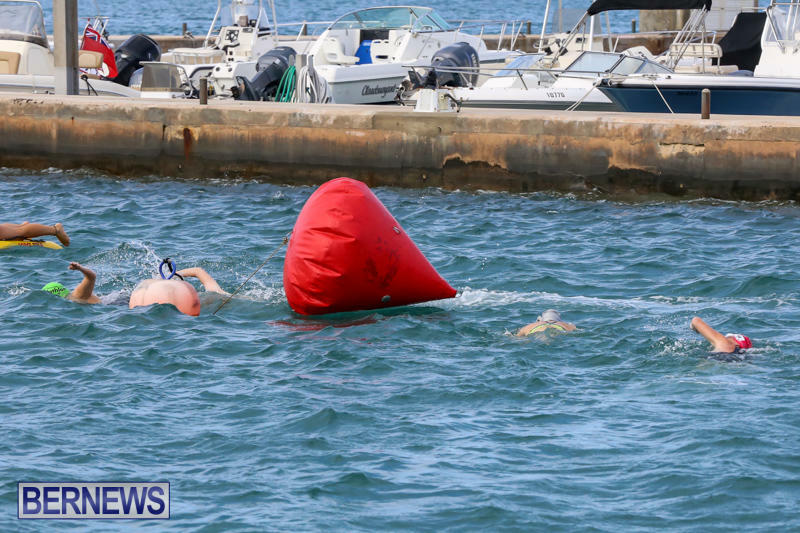 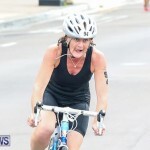 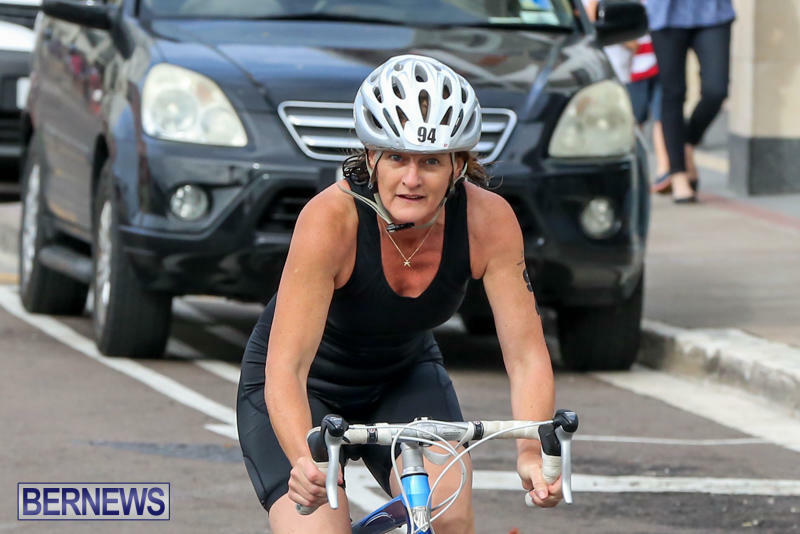 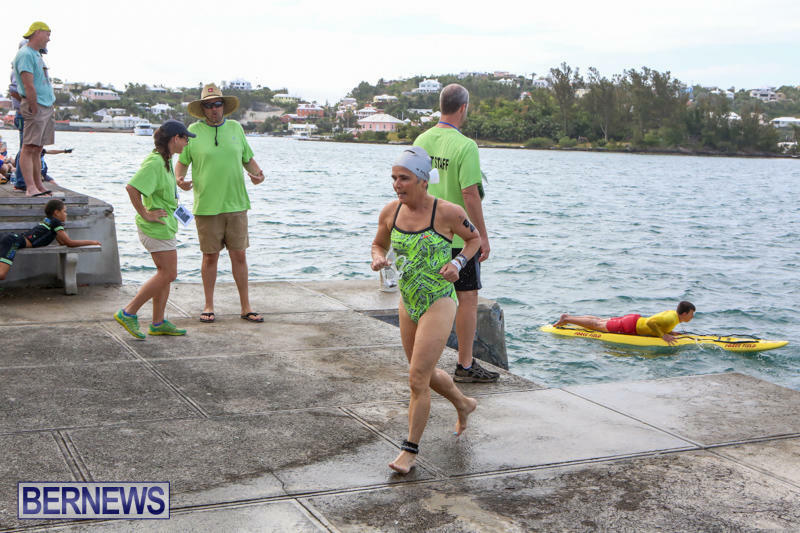 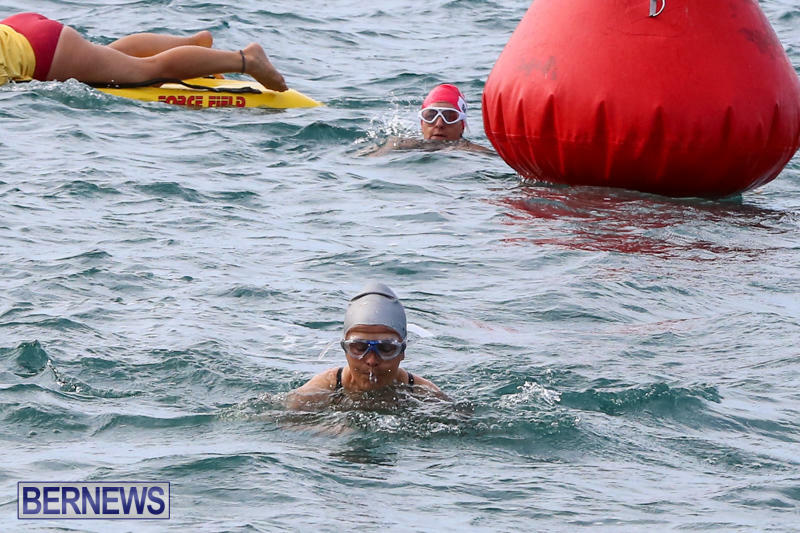 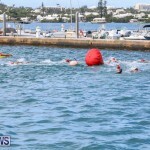 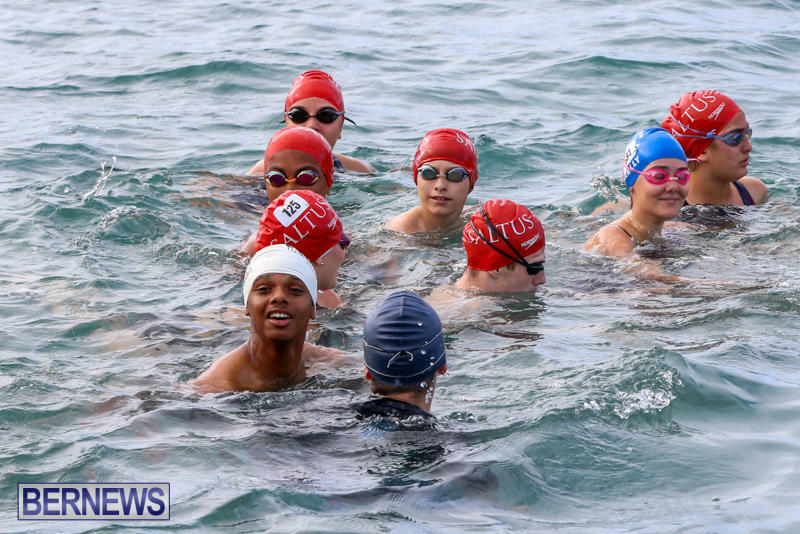 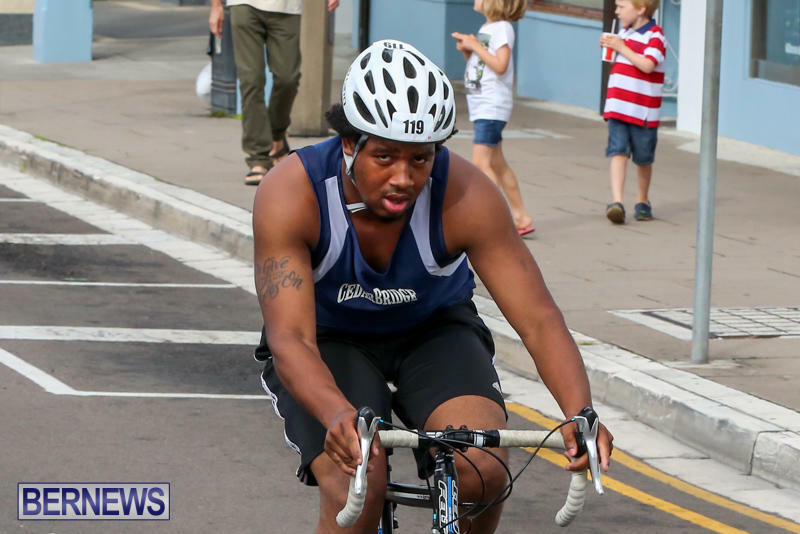 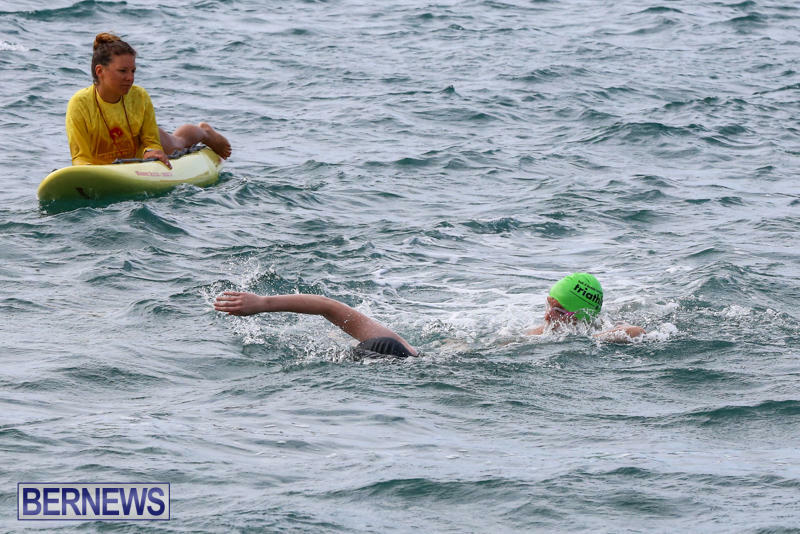 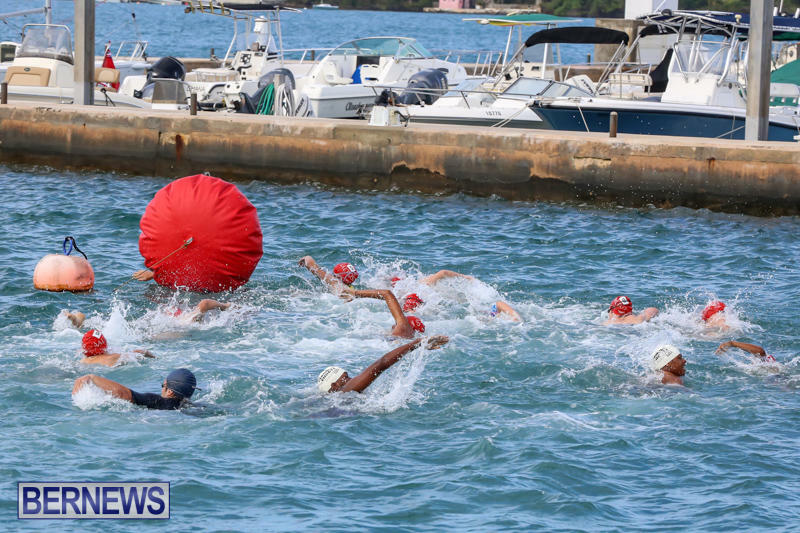 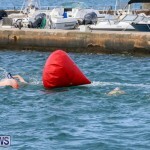 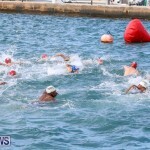 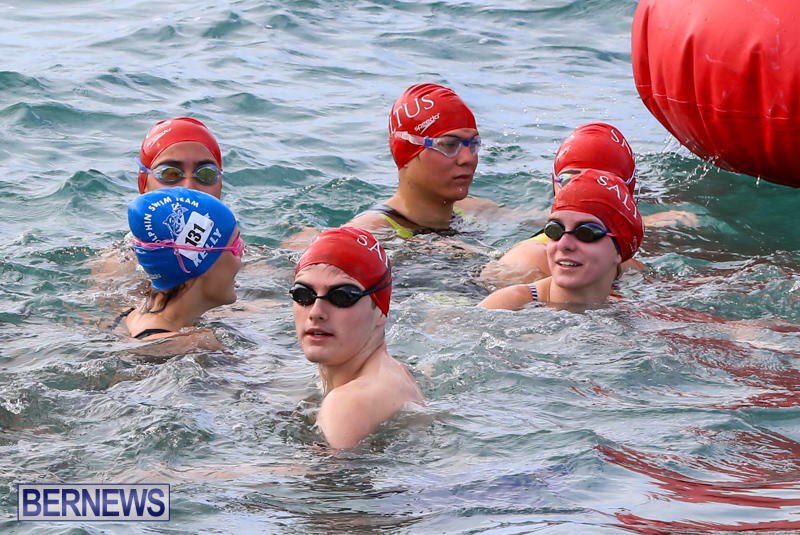 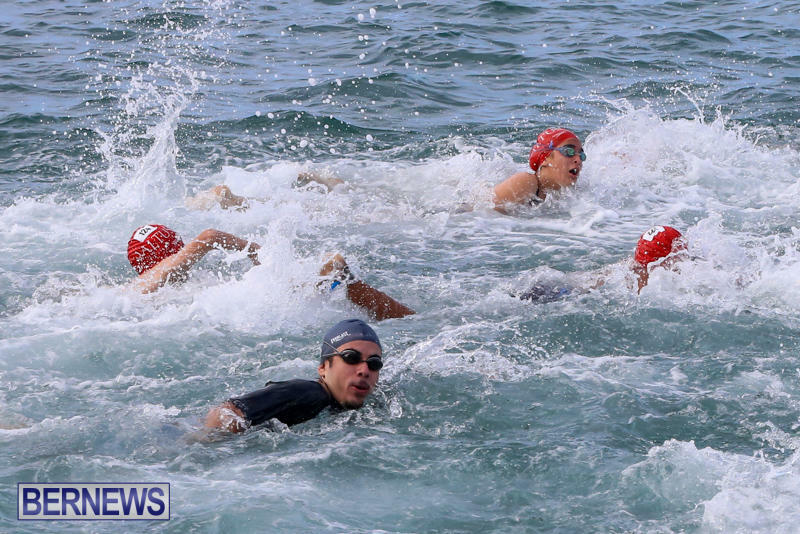 All of our Tokio Millenium Re Triathlon coverage can be found by clicking here.